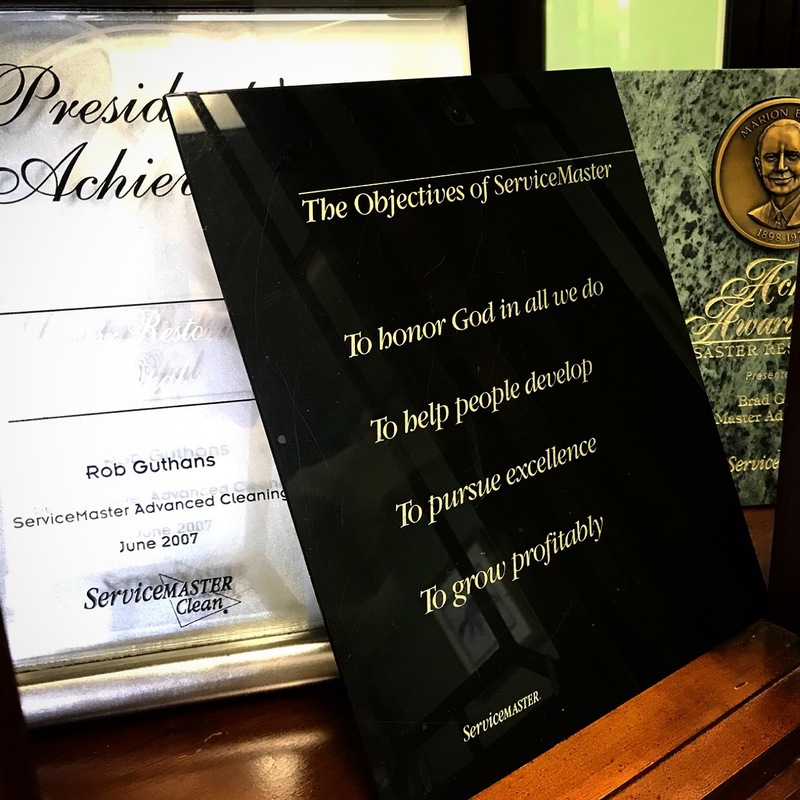 At Servicemaster Advanced Cleaning & Restoration & ServiceMaster Services Janitorial, we have a story to tell. Briefly, it is this. 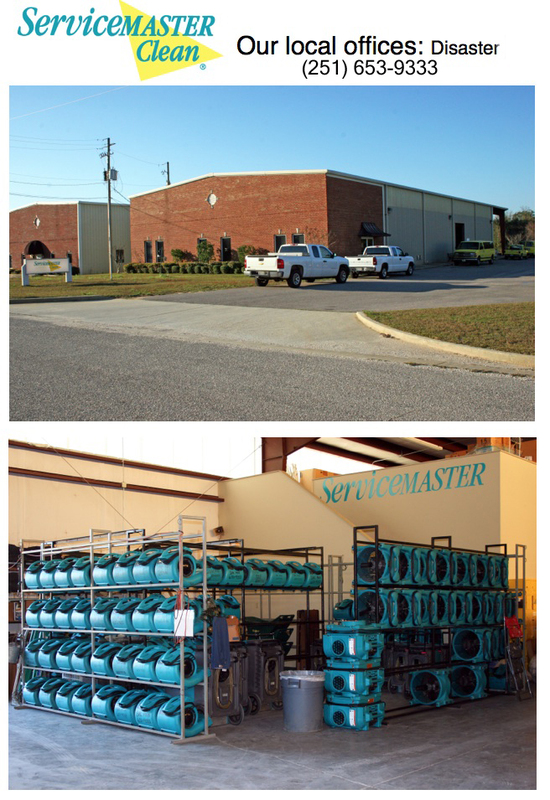 The capabilities of the two companies are unparalleled along the Gulf Coast. 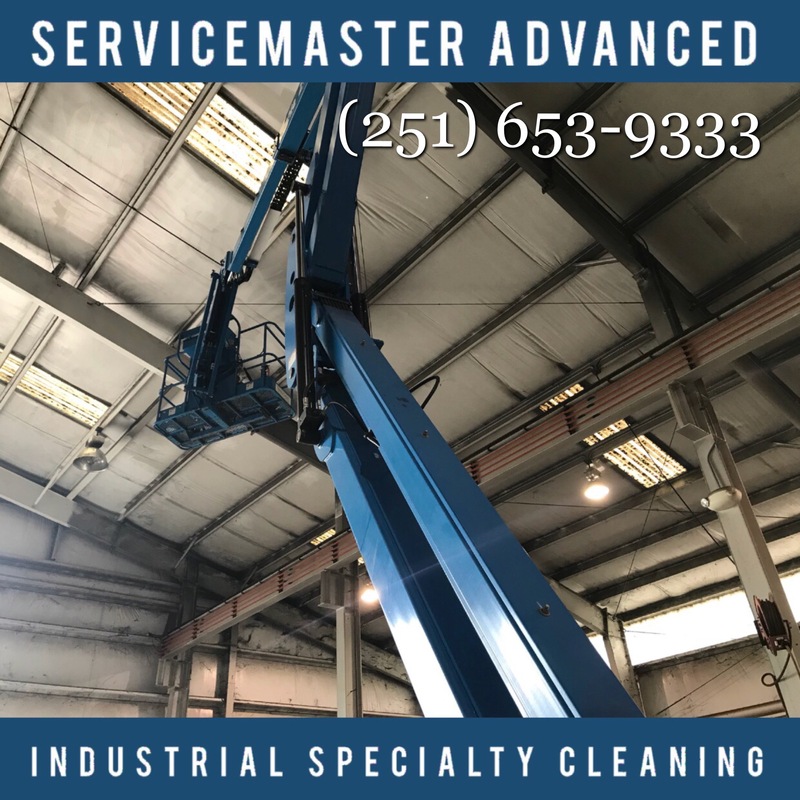 As the pictures in this article attest to, there is really no commercial, industrial or residential cleaning job that we cannot handle. 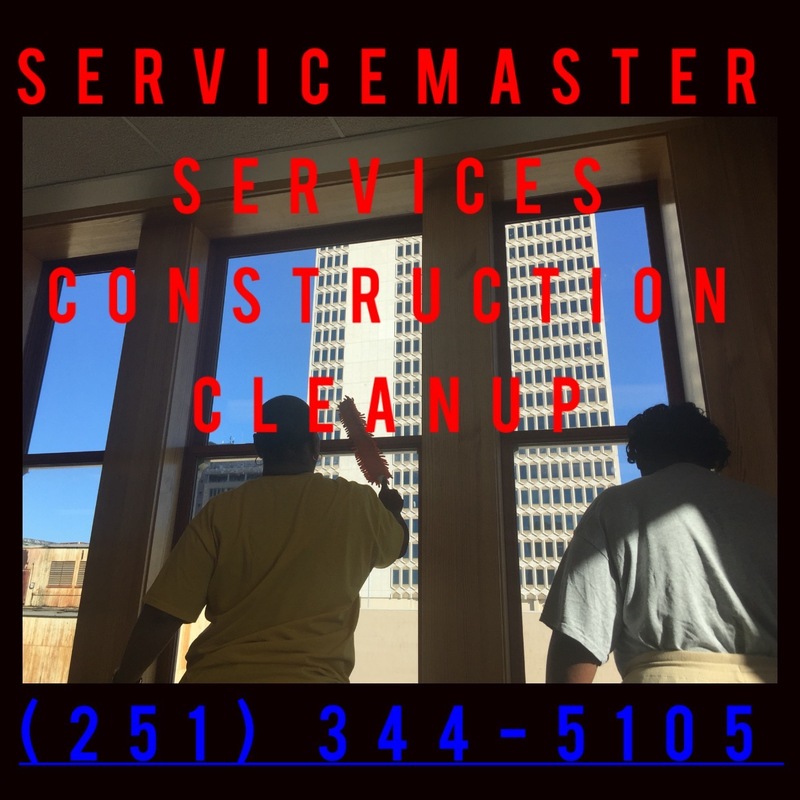 We have worked in or on: ships, planes, industrial facilities, apartments, condos, warehouses, tall buildings, schools, churches, government buildings, hospitals, retail facilities and homes. 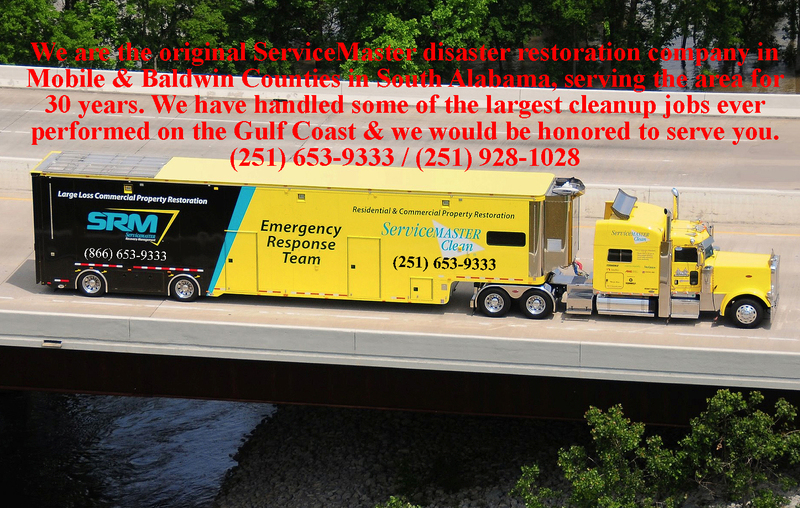 There is likely no structure that we haven't worked on, HERE in Mobile & Baldwin County! After all, we have been doing it for thirty years! 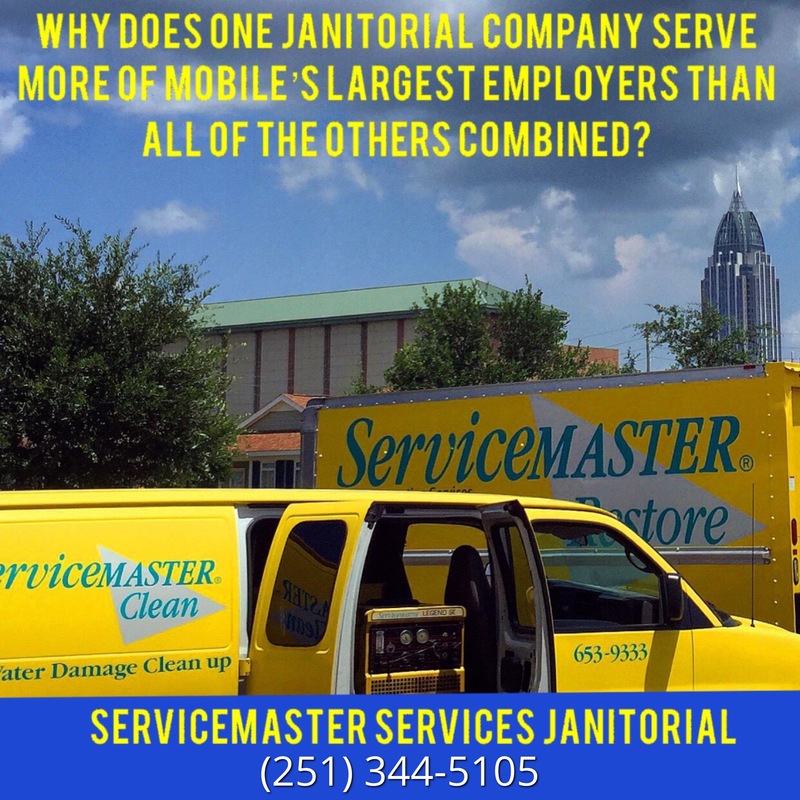 (251) 344-5105 is the number for the original ServiceMaster janitorial company in Mobile. 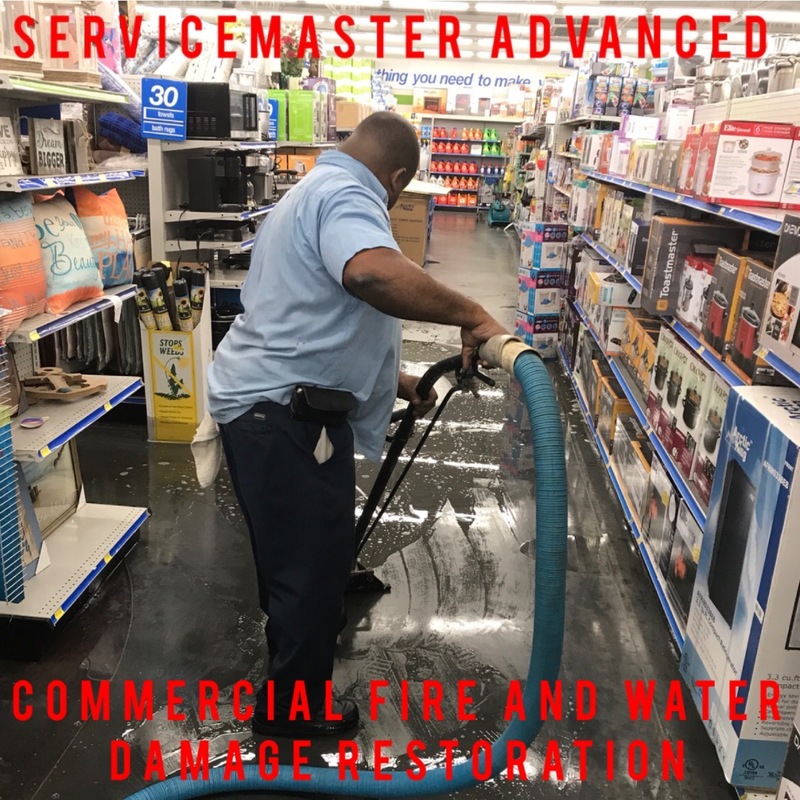 ServiceMaster Services Janitorial, combined with our disaster restoration franchise, ServiceMaster Advanced Cleaning & Restoration, (also the original ServiceMaster disaster restoration company in Mobile and Baldwin Counties); gives our business enterprise capabilities that few, if any, janitorial companies, or disaster restoration companies, can match. 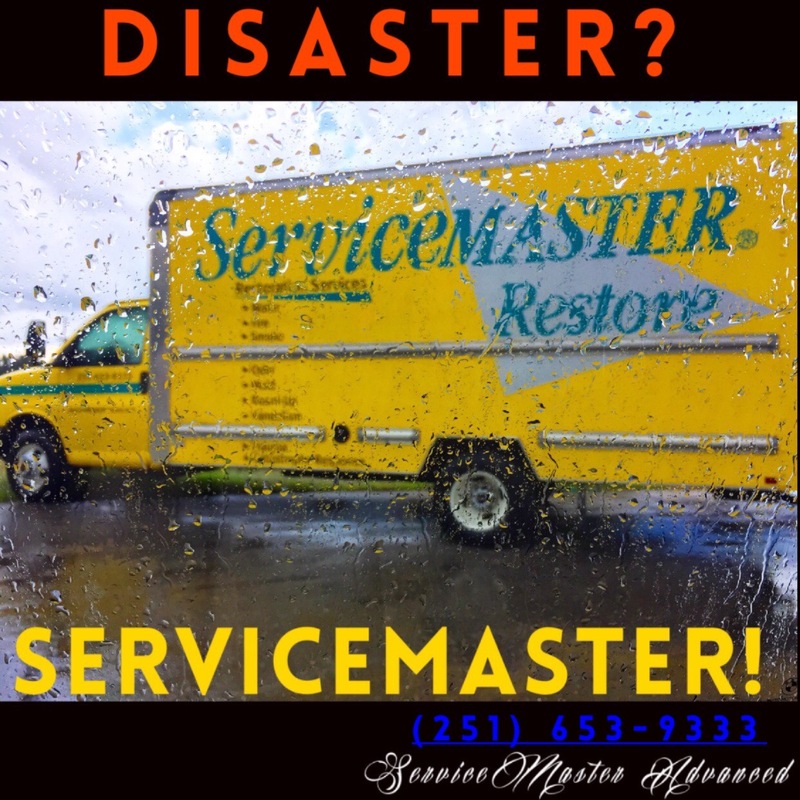 The telephone number for ServiceMaster Advanced Cleaning & Restoration is (251) 653-9333, and (251) 928-1028. 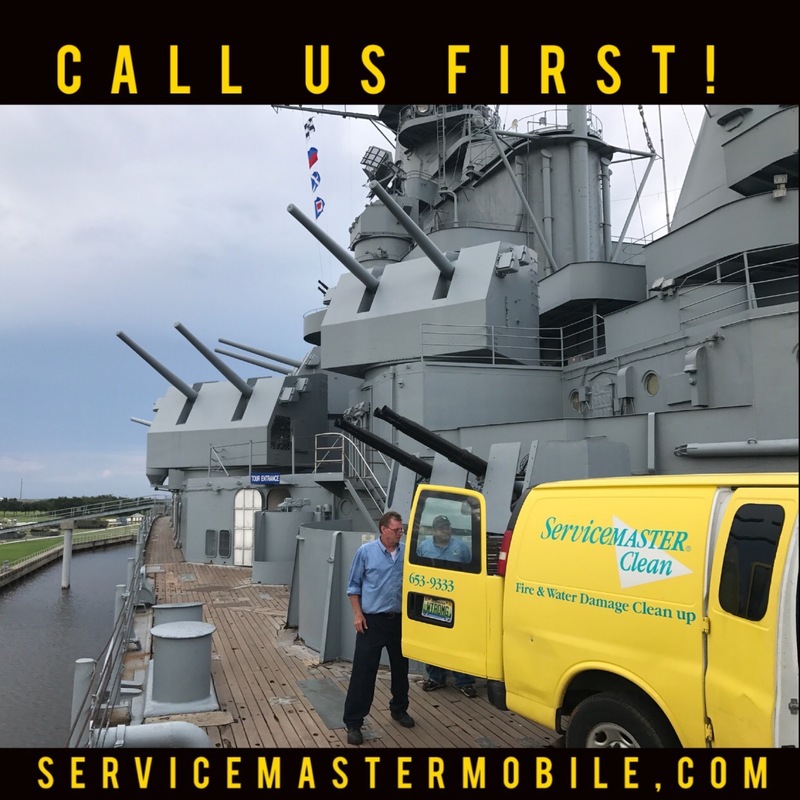 Our two companies have been in the Mobile area for over thirty years, and we have built the ServiceMaster name and reputation in Mobile and Baldwin Counties. We live here. We pay taxes here. We volunteer here. 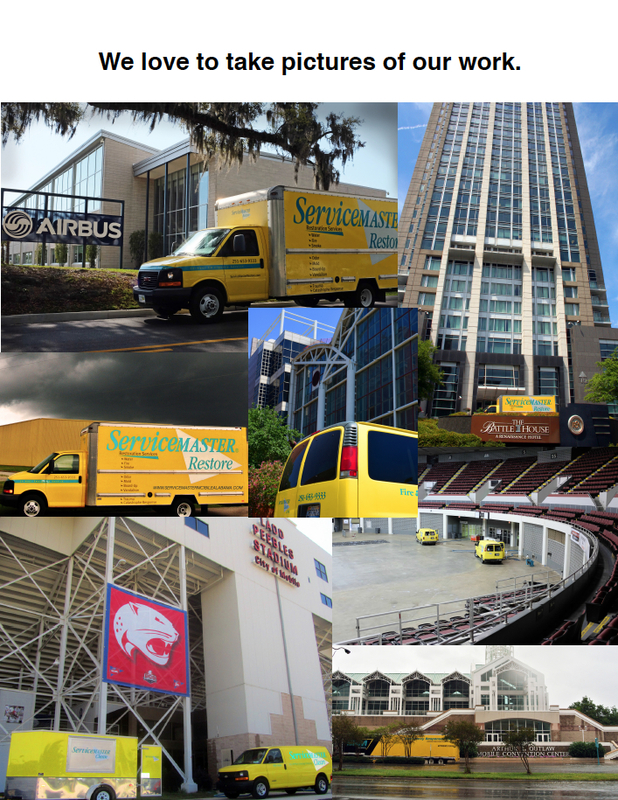 Our customer list reads like a who's who of Mobile's largest employers, including many Fortune 500 Companies. 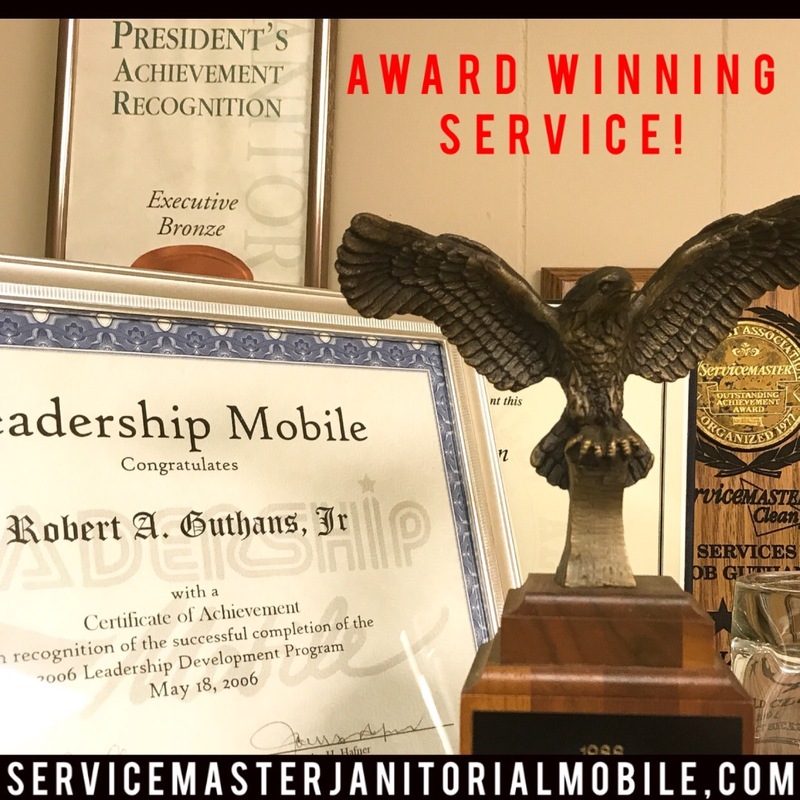 The websites for our two companies are http://www.servicemasterjanitorialmobile.com, and http://www.servicemastermobile.com. The training that we do in our businesses and the quality of people that we employ is and continues to be, second to none. Our people are neat well dressed and well mannered. They are subject to drug tests and have been background checked for convictions. We do not tolerate dishonesty and operate a drug free workplace. In addition to meeting these minimum standards, we cultivate and train employees to smile, be polite and go the extra mile for the customer. It shows. Some of our accounts have been with us, as long as the current ownership and before - over 24 years! 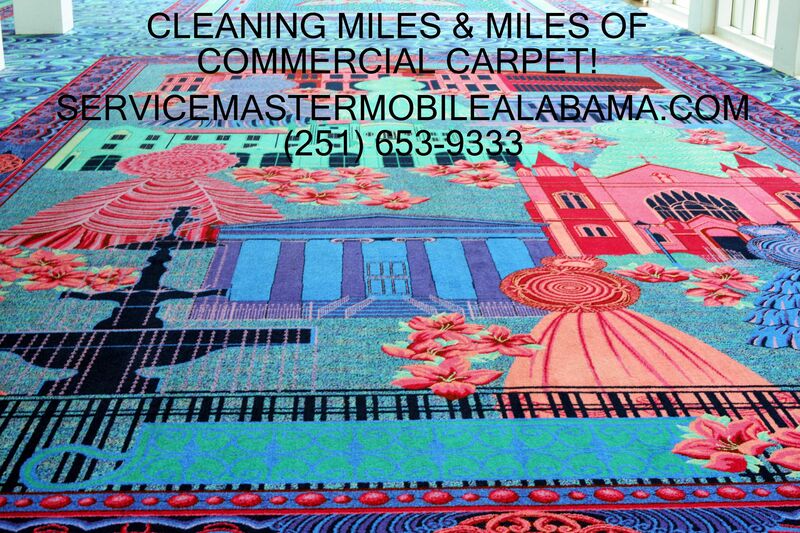 We tell the public that we have been serving the Mobile, Alabama area for over thirty years. The truth is that our franchise is the original one sold in Mobile. 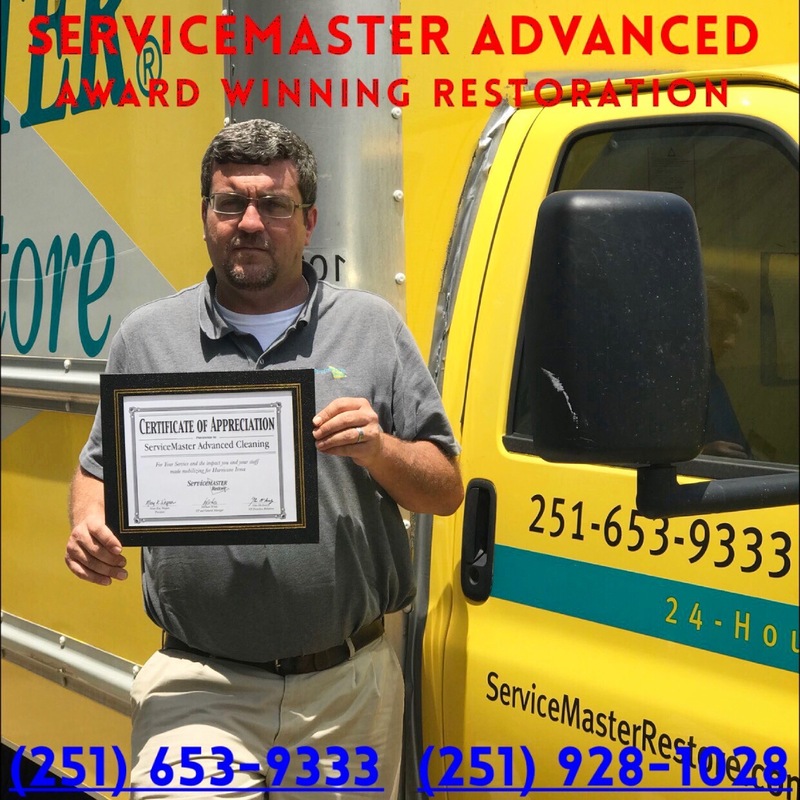 The first license of the ServiceMaster Company sold from Northwest Florida to New Orleans. 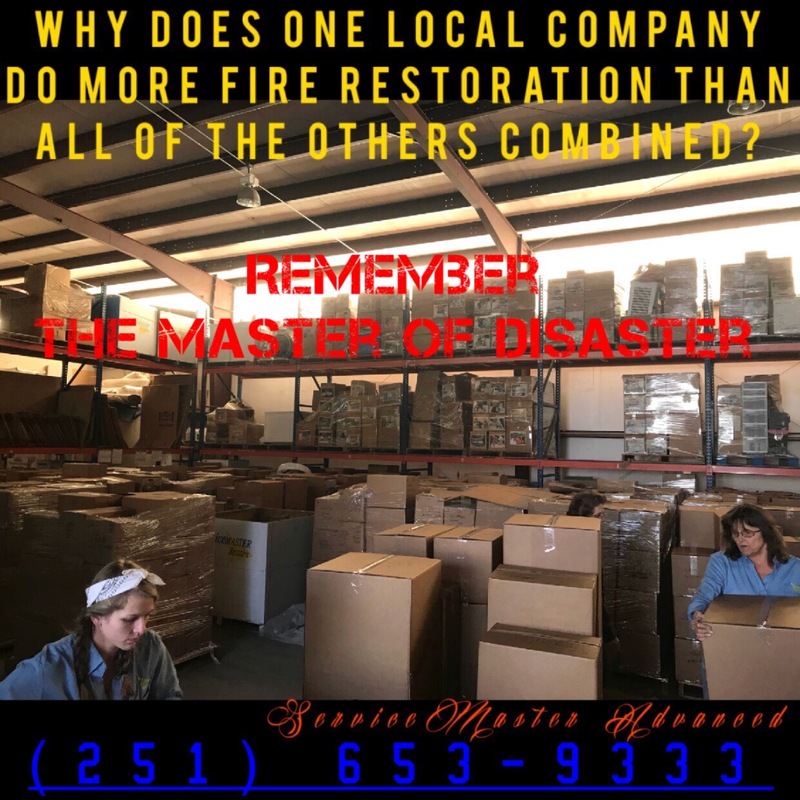 Unfortunately we don't have records that date back that far, but our owner's mother employer ServiceMaster in Mobile, (this company), as far back as 1961. 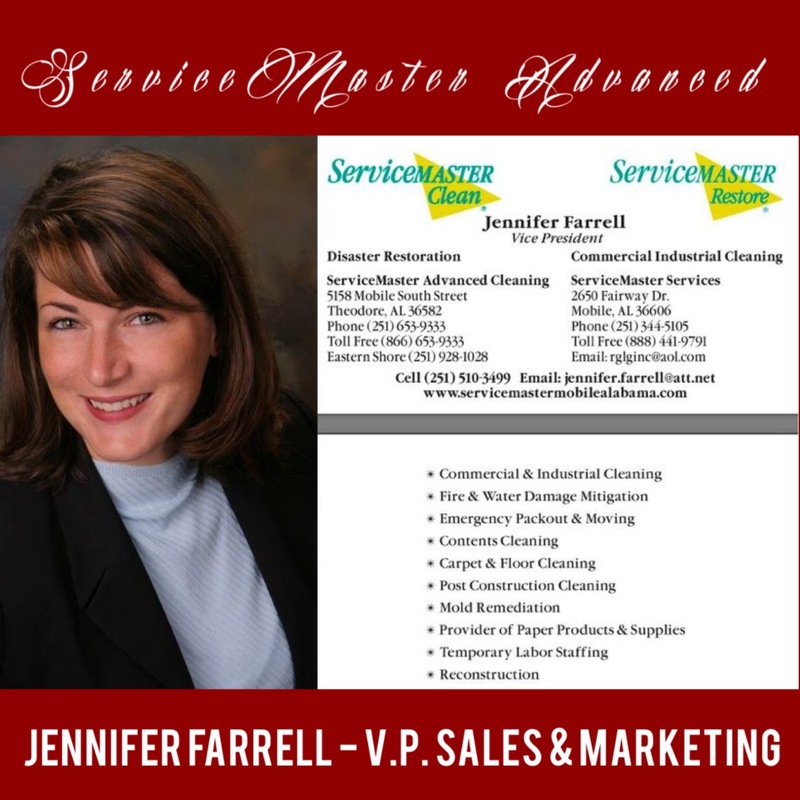 At that time, a ServiceMaster professional visited her home several days in a row to clean India Ink out of a carpet and bedspread. Such was the type of service that our company provided way back then. 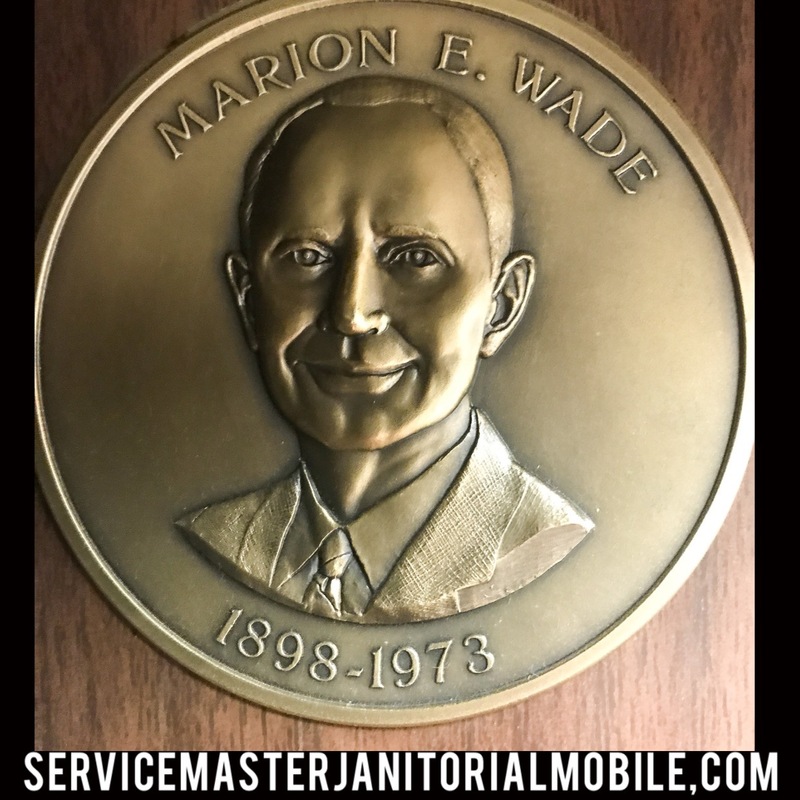 While many things have changed over the years, we still provide that level of customer service today. Our aim is to help people. Pure and simply. 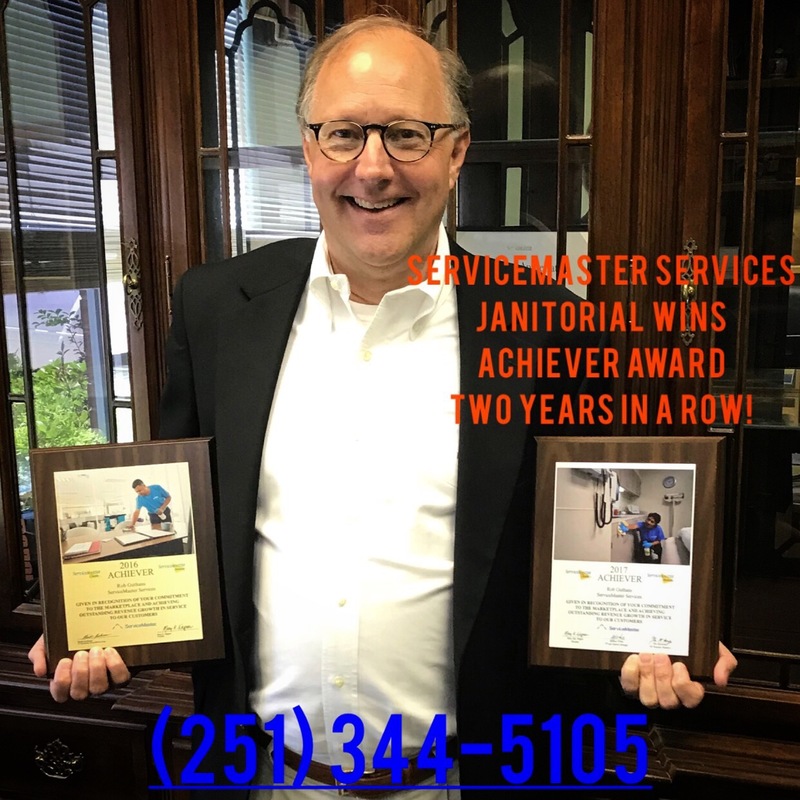 ServiceMaster Services Janitorial - more than a janitorial company. 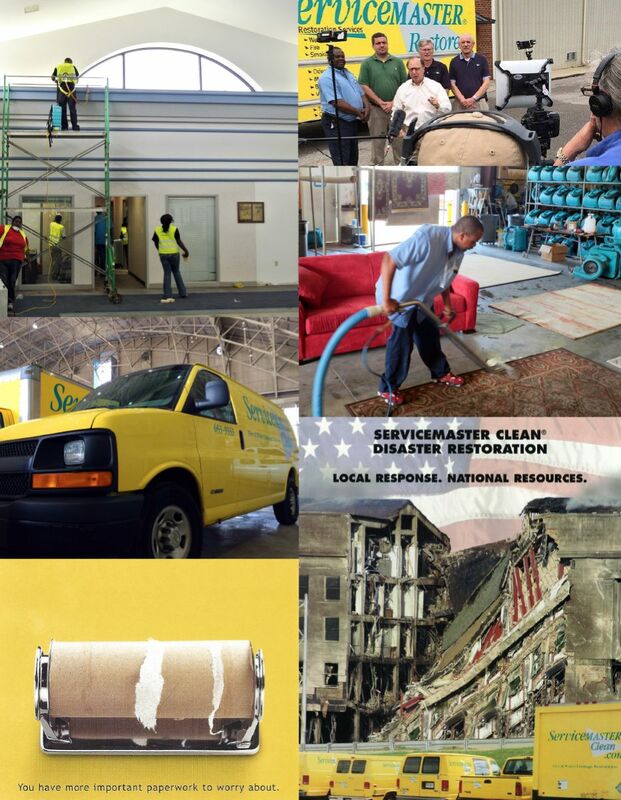 Our two companies are market leaders in both mitigation and janitorial. 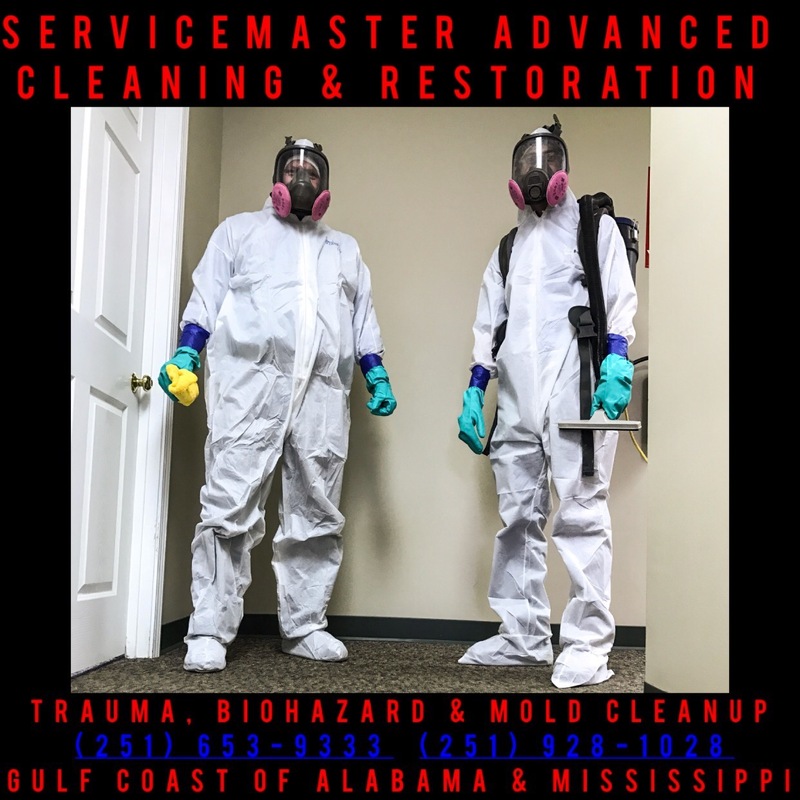 The combined forces of these two entities brings more cleaning solutions, mitigation capabilities, and building problem solving to the table: than any single entity in the Mobile, Baldwin County or Coastal Mississippi area. Period. 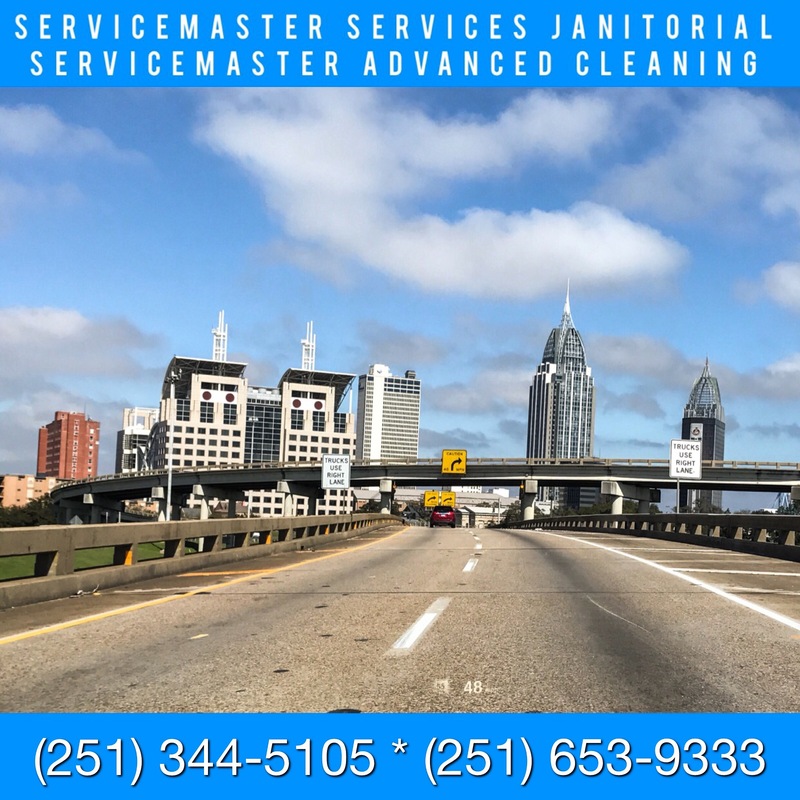 We have unique experience in handling janitorial in most of the area's largest commercial industrial operations. 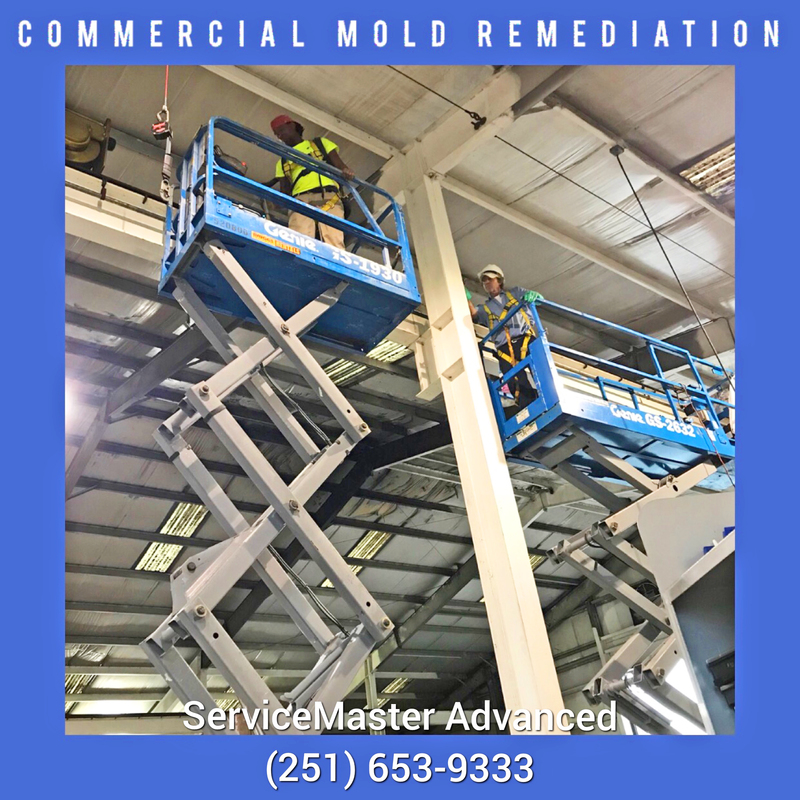 During that time, we have been called upon to clean warehouse decks and areas that are typically inaccessible. This is not a problem for us as the attached pictures indicate. No job is too high or too large. 1. 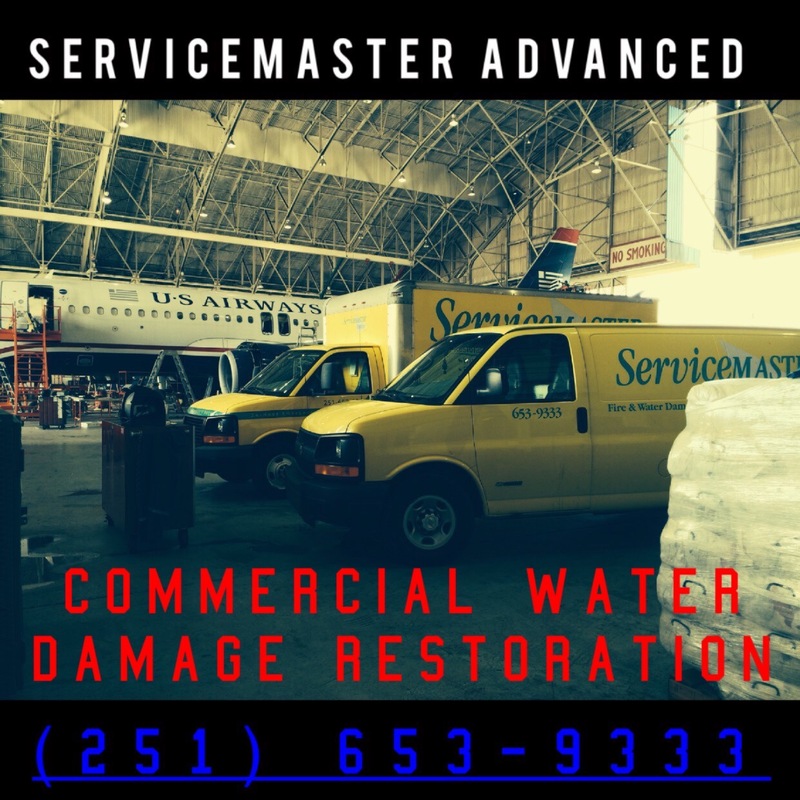 Water Damage Restoration, Fire Damage Restoration. 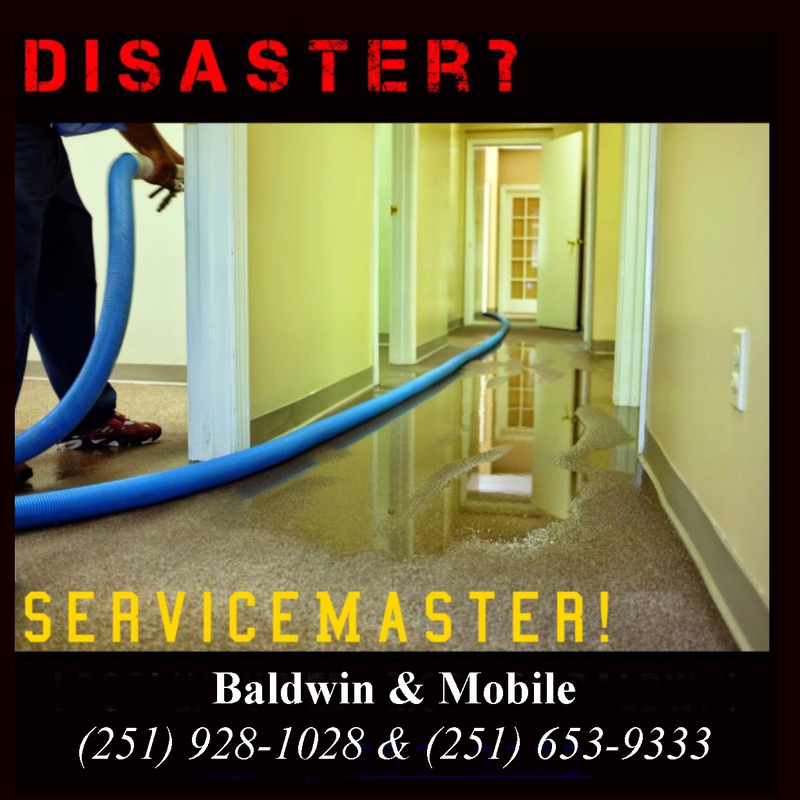 We are one of the largest providers on the Gulf Coast of these services. 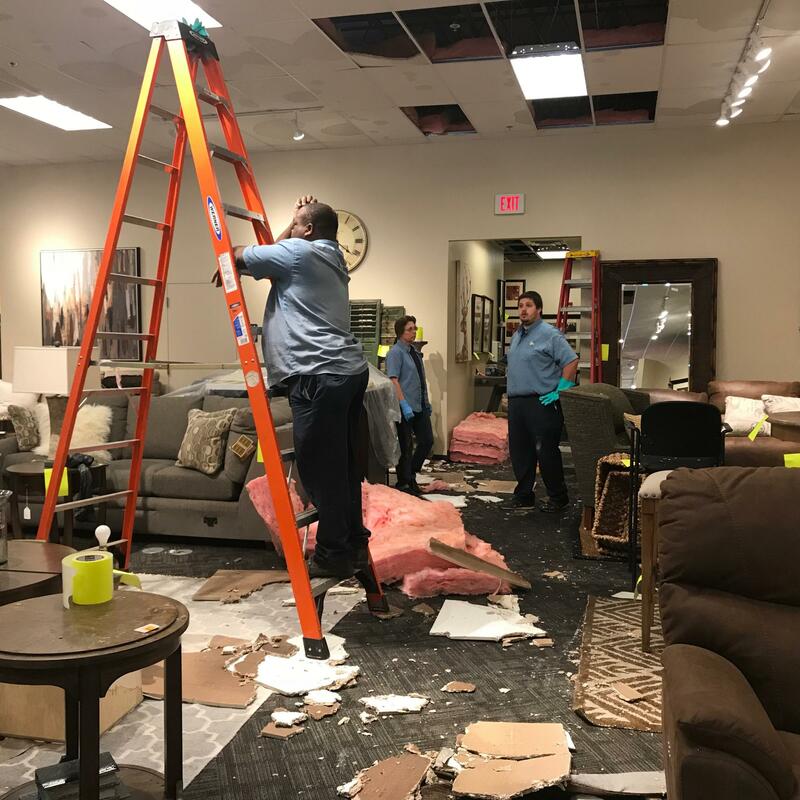 We have served thousands of homes and businesses over the past thirty years, and we have worked for every insurance company in our area. We are affiliated with the several largest insurance companies (in terms of policies in force), in our area; by virtue of our being on their insurance "programs" - the pre-qualification with the insurance companies, in order that they may send direct assignments to us. 3. 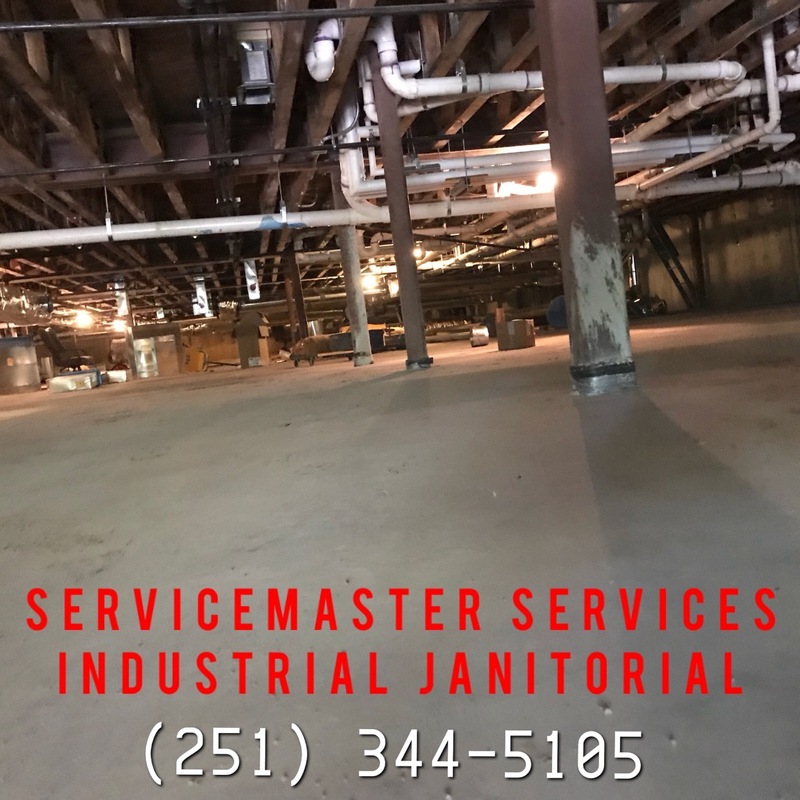 Commercial & Industrial Janitorial Services - proven ability to handle janitorial accounts in excess of 500,000 square feet. 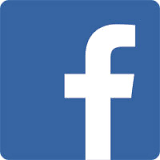 Needless to say, we will not publish our client list, but we will gladly provide references. 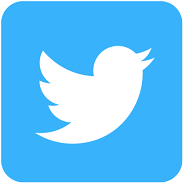 We have some large accounts that we have served for over 22 years, and we serve some of the area's largest employers. 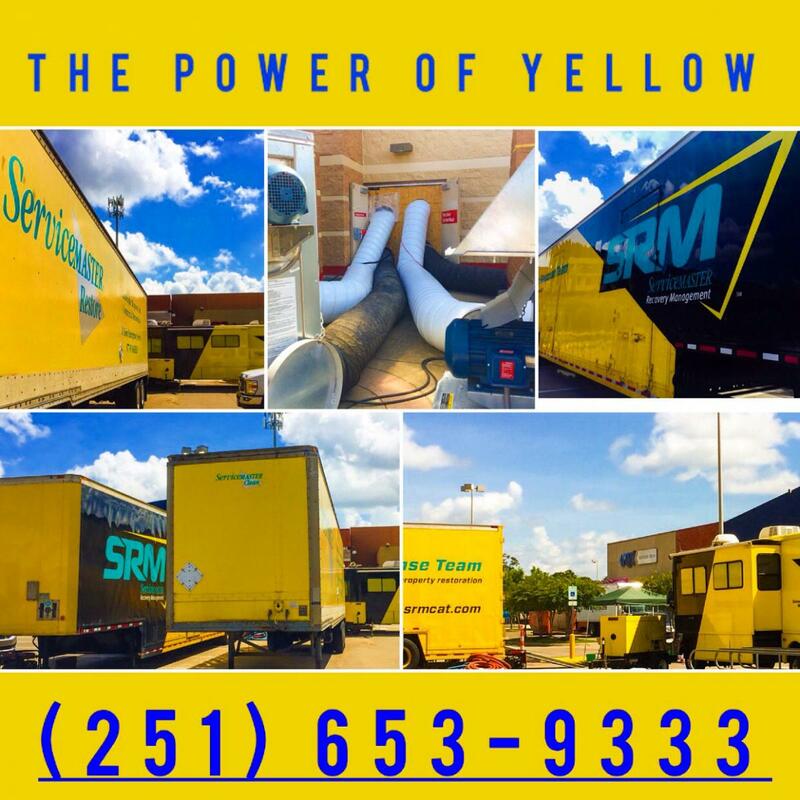 We enjoy a good reputation, and serve many large industrial accounts. 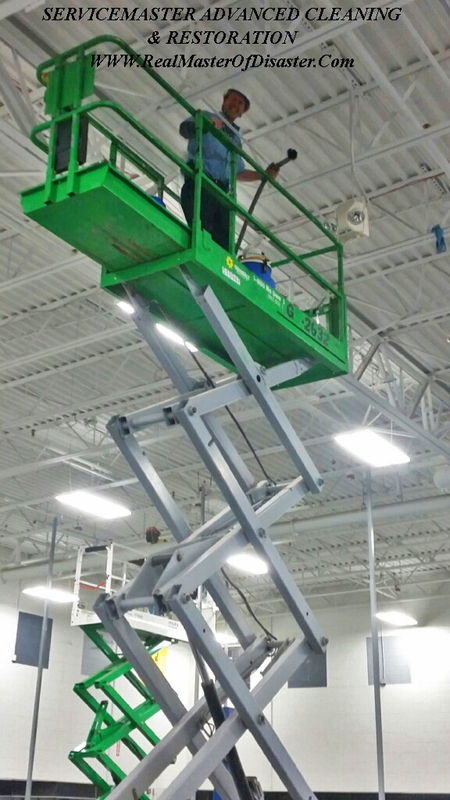 Our workman's comp experience modifier has been below one, for many years; and we make safety our priority. We receive a safety award from our carrier every year. 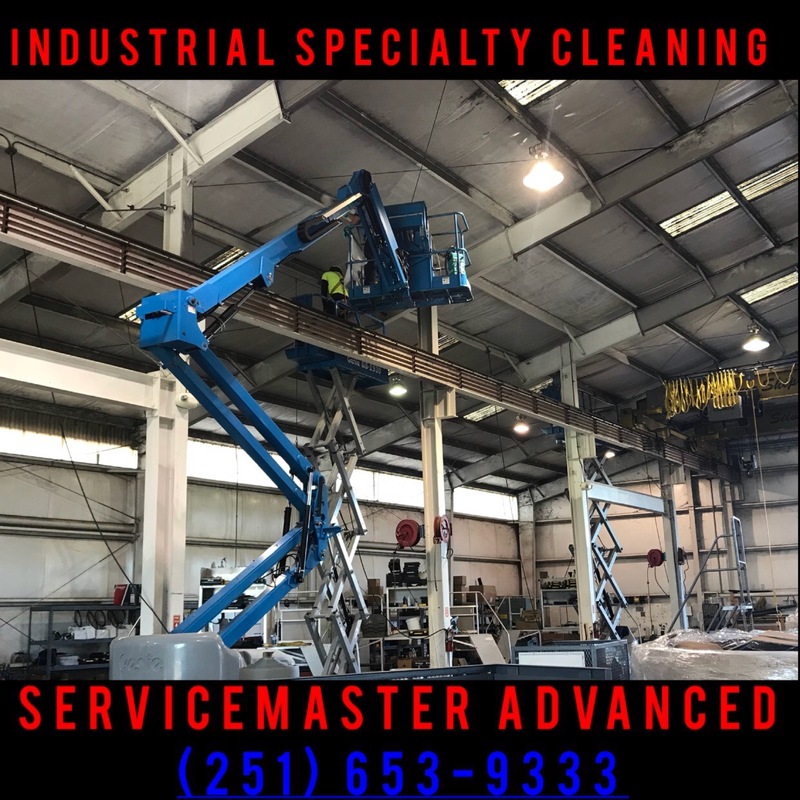 We know and understand industrial cleaning, and are able to bring our disaster restoration expertise to the table under one service. 4. 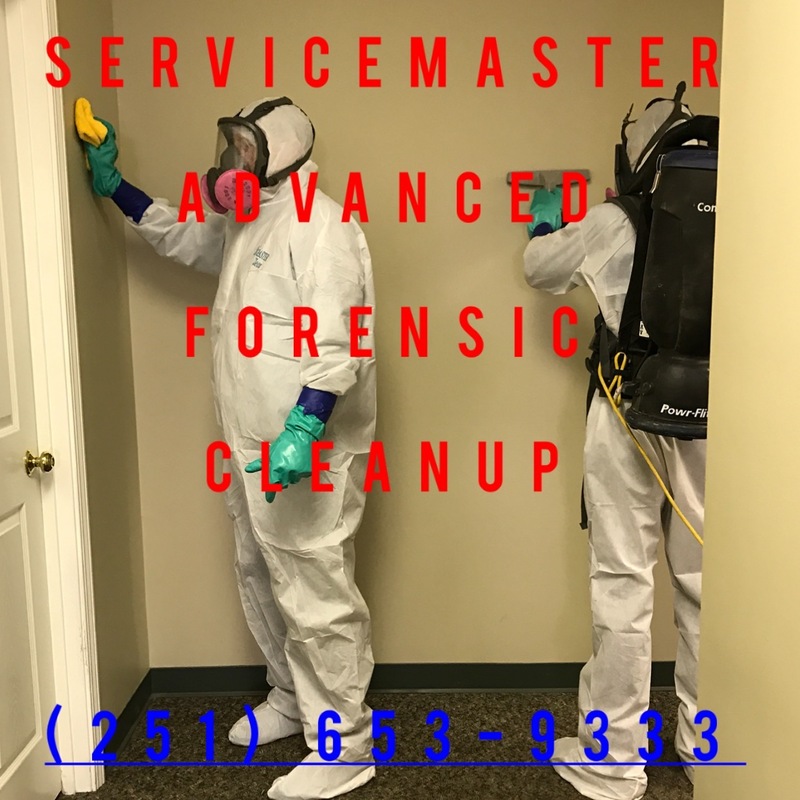 Forensic & Trauma Cleanup Services. 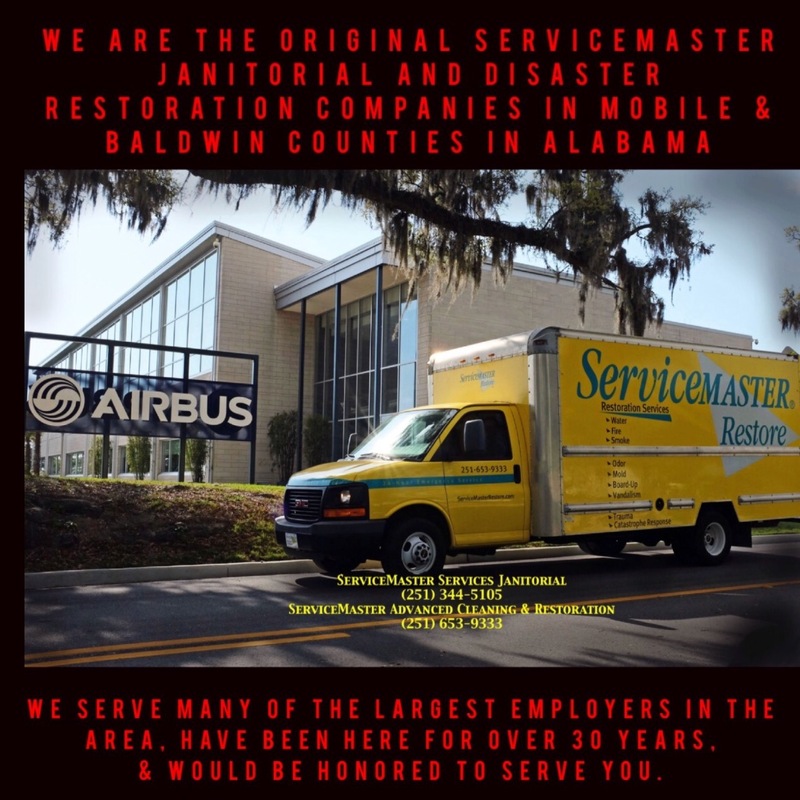 This is a highly specialized cleanup service that requires not only training, but dignity and respect. It also understood that our people remain cognizant of their duty to remain silent in these very sensitive situations. 5. 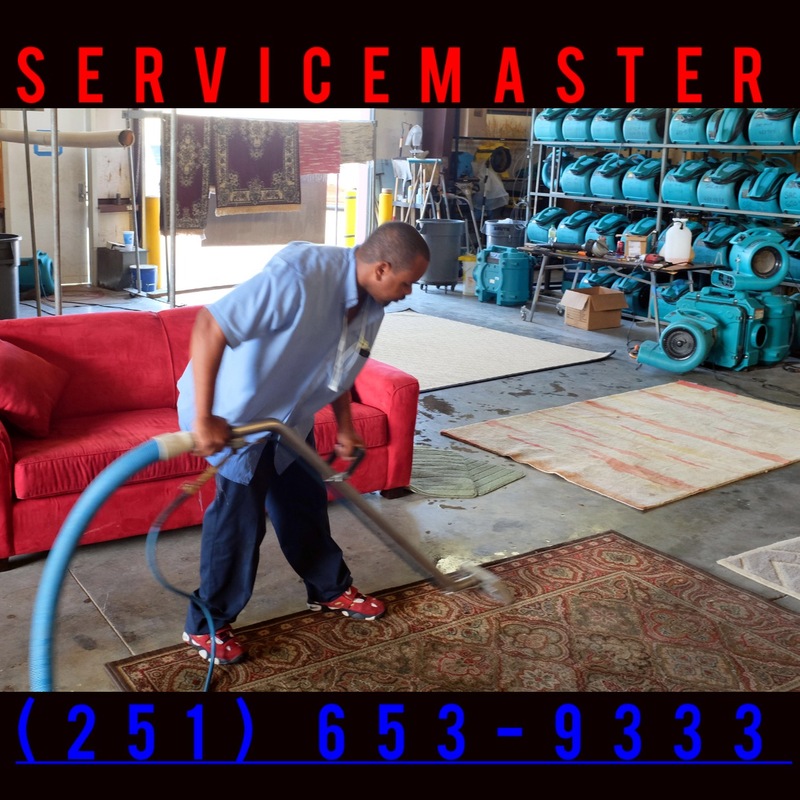 Carpet Cleaning (Few, if any, janitorial services can offer truck-mounted carpet cleaning). 6. 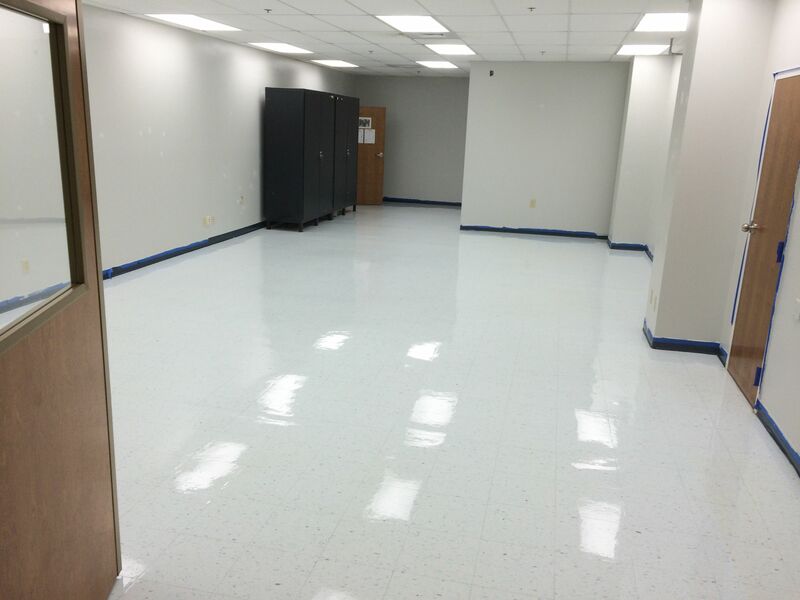 Hard Surface Floor Stripping, Waxing & Maintenance (before & after below). 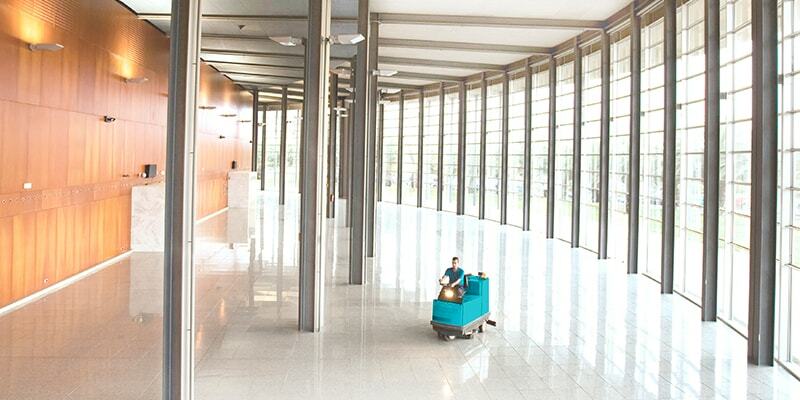 We have large auto scrubbers to tackle large jobs as big as malls and large box stores. 7. Grout Cleaning - with a truck mounted steam attachment that ensures excellent results. 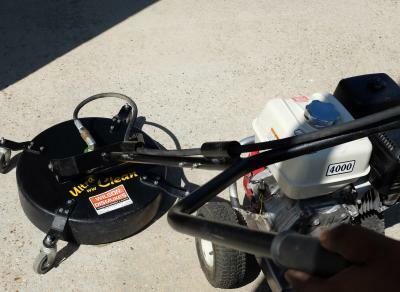 We have several methods of attacking grout, but this steam cleaning method is one of the best. 8. Window Cleaning. 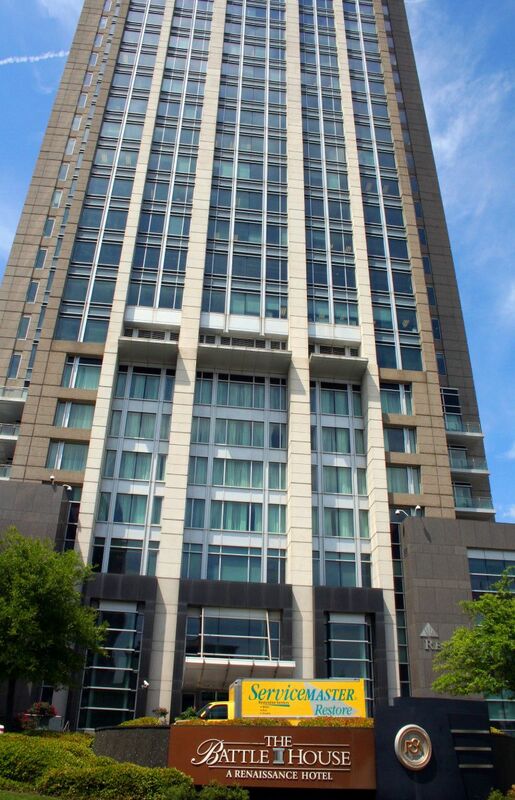 We have done large buildings and small ones. 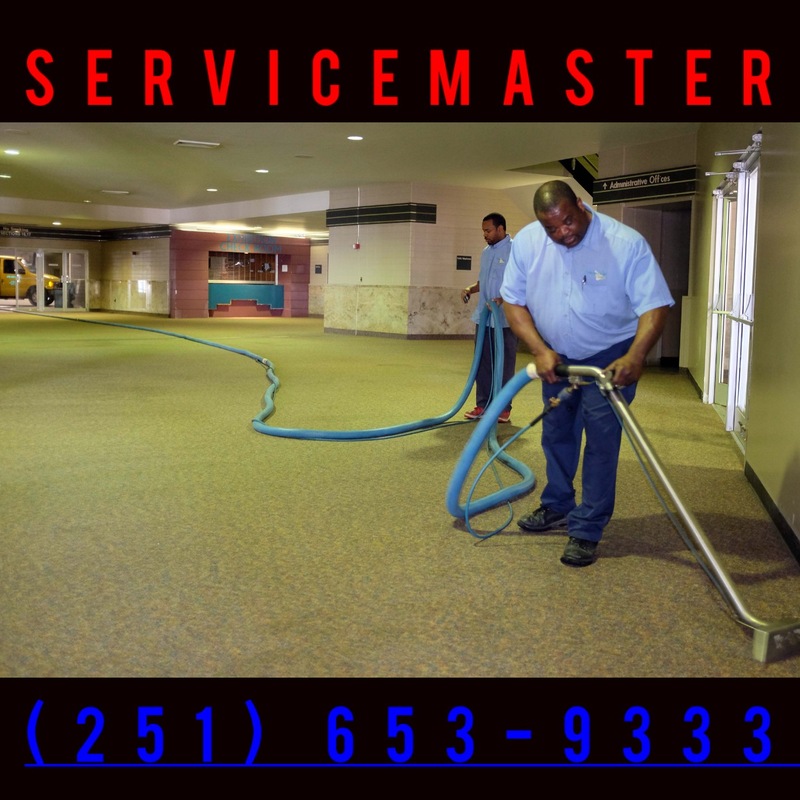 We can add this service to a janitorial contract or provide it as a stand-alone service. 9. 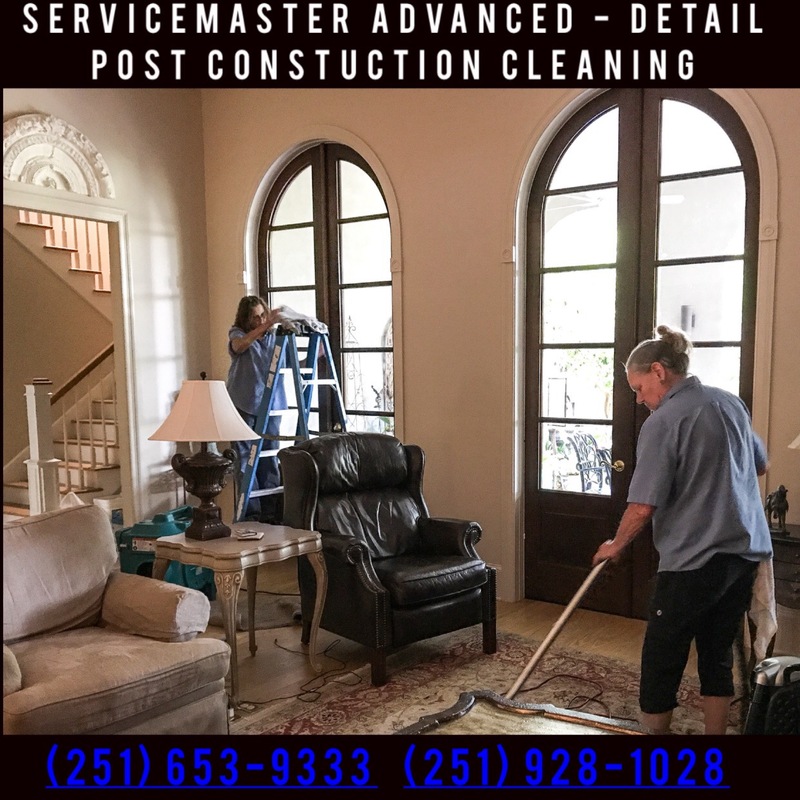 Post-Construction Cleaning - both commercial & residential. 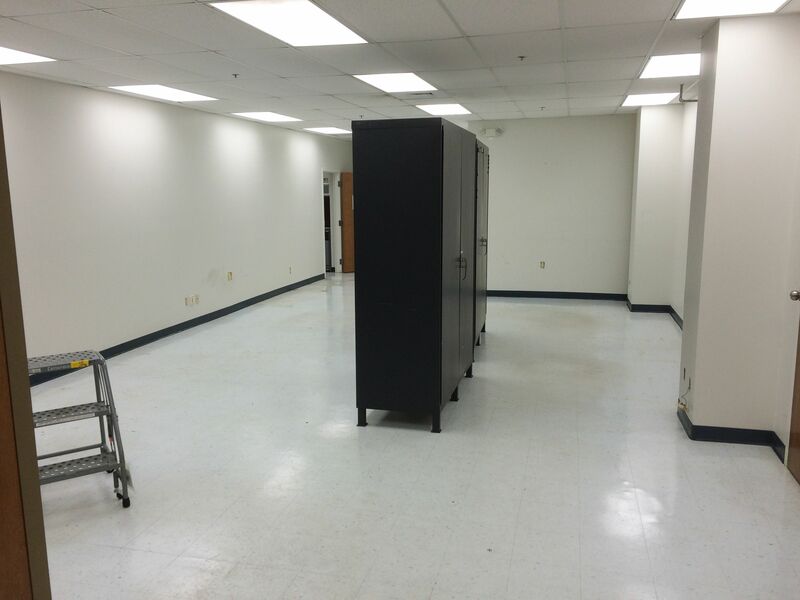 We have done huge warehouses, box stores and multi story buildings in preparation for occupancy. 10. Temporary Labor Staffing - yes we provide temps to our many commercial & industrial clients when needed. 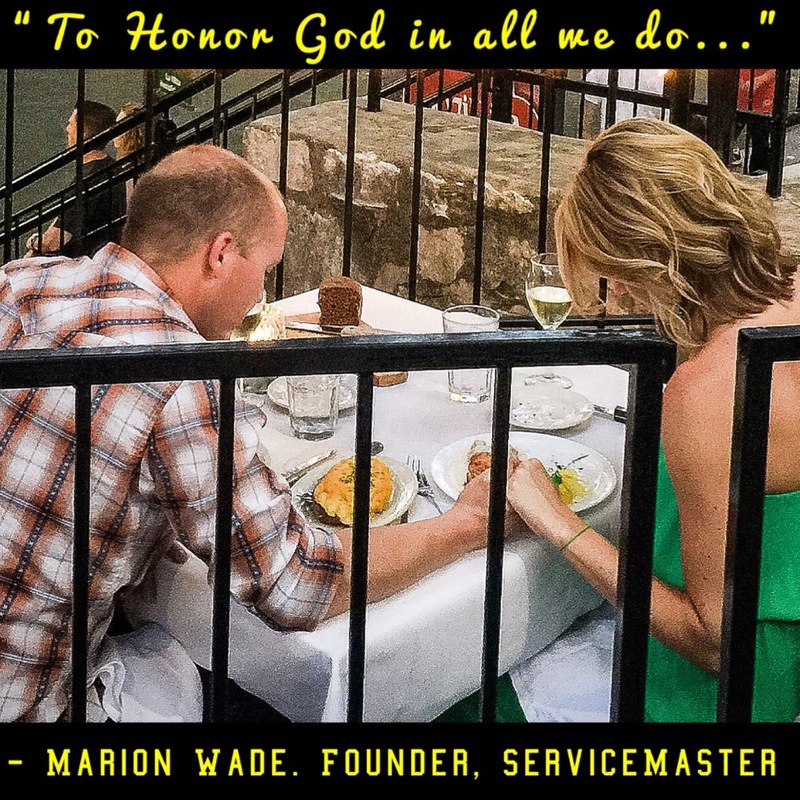 Many have called us to simply staff an office event or company picnic. 11. 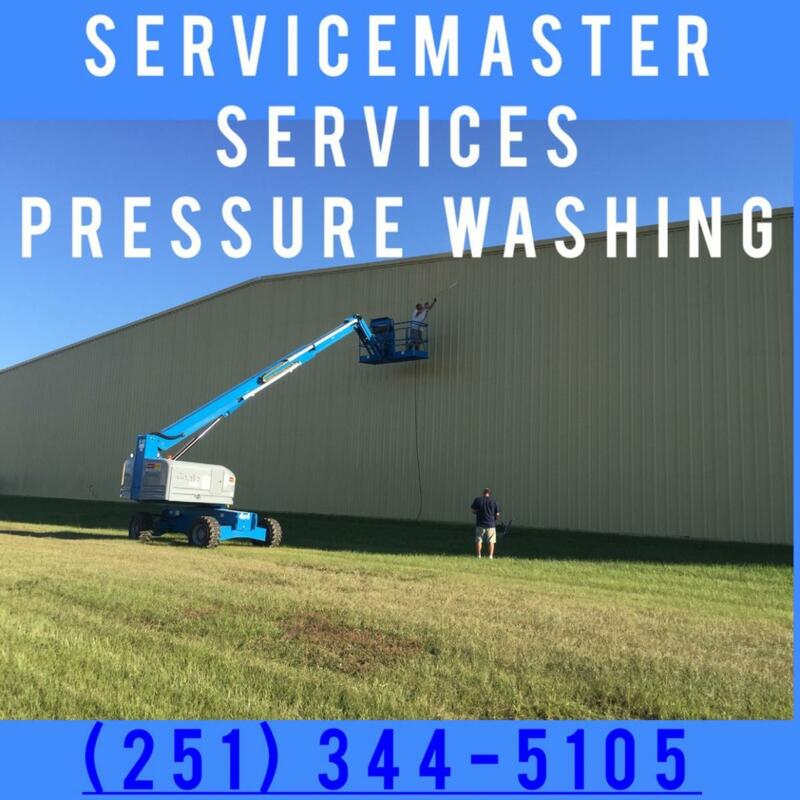 Pressure Washing. We also have a disc that works fast and efficiently on horizontal surfaces. 12. 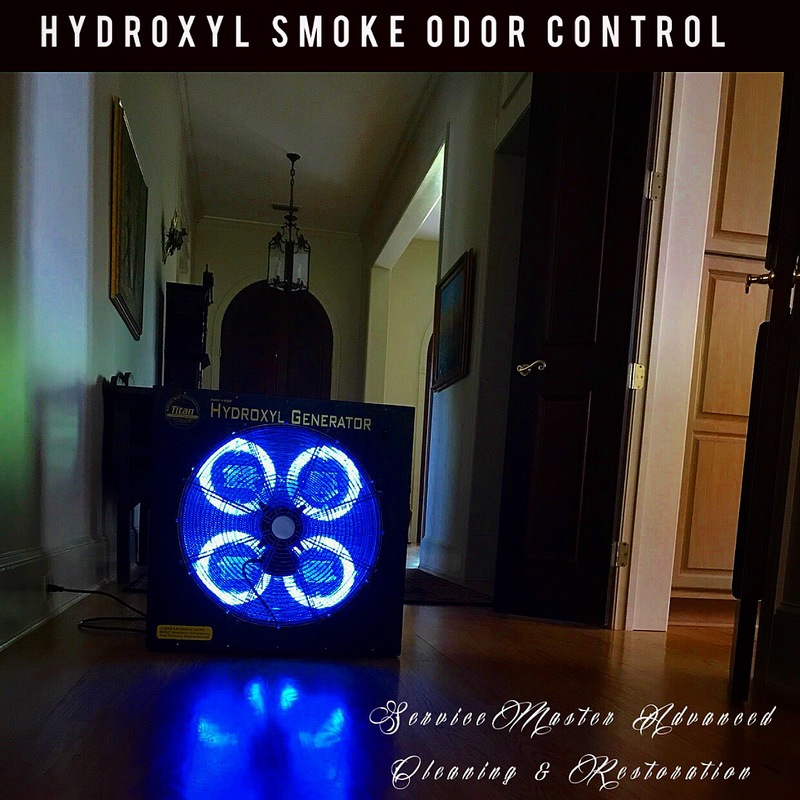 Smoke & Odor Cleanup - we eliminate the really tough residential & commercial problems. 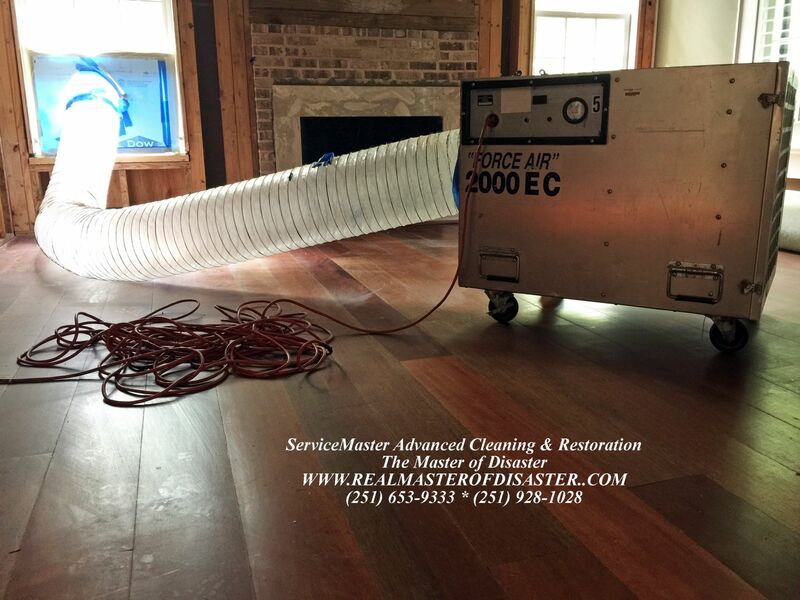 We have the ability to clean up smoked-in houses and buildings prior to listing for real estate professionals. 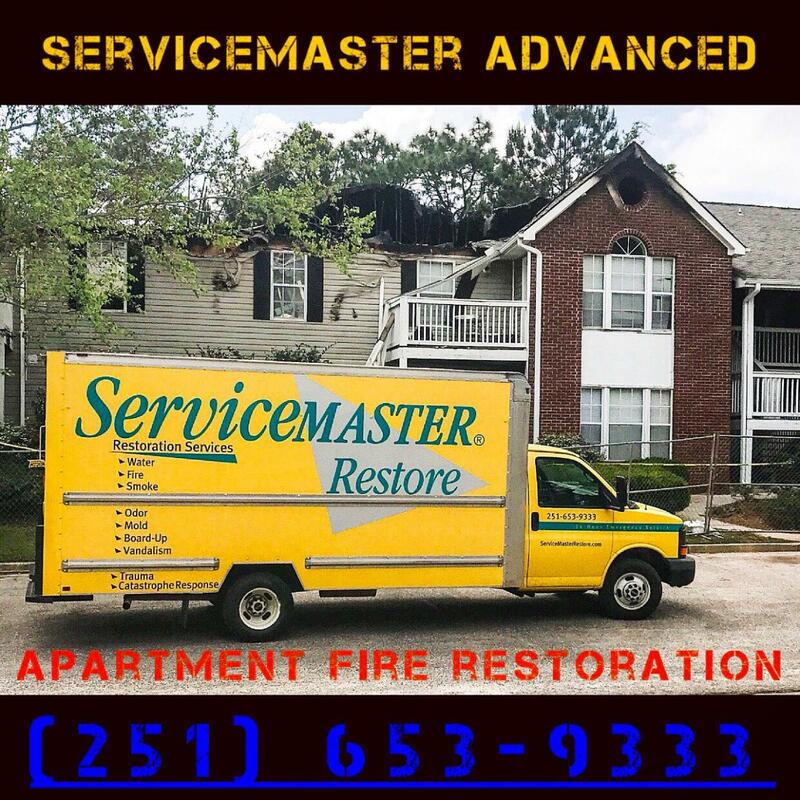 This is an extension of of fire restoration service. 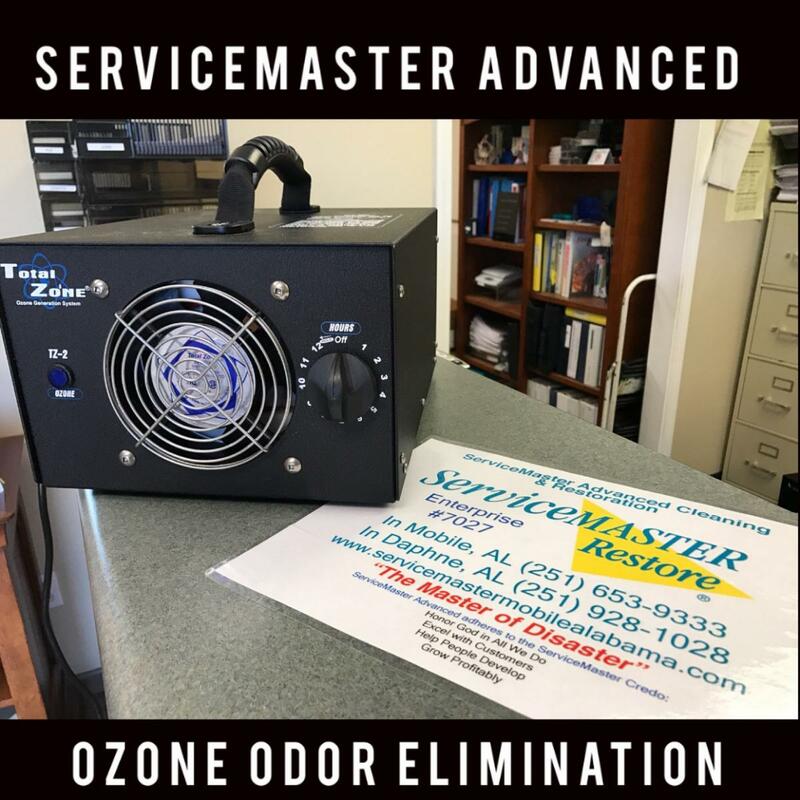 In some instances, we can that a home rather inexpensively and eliminate the smoke odor. 13. 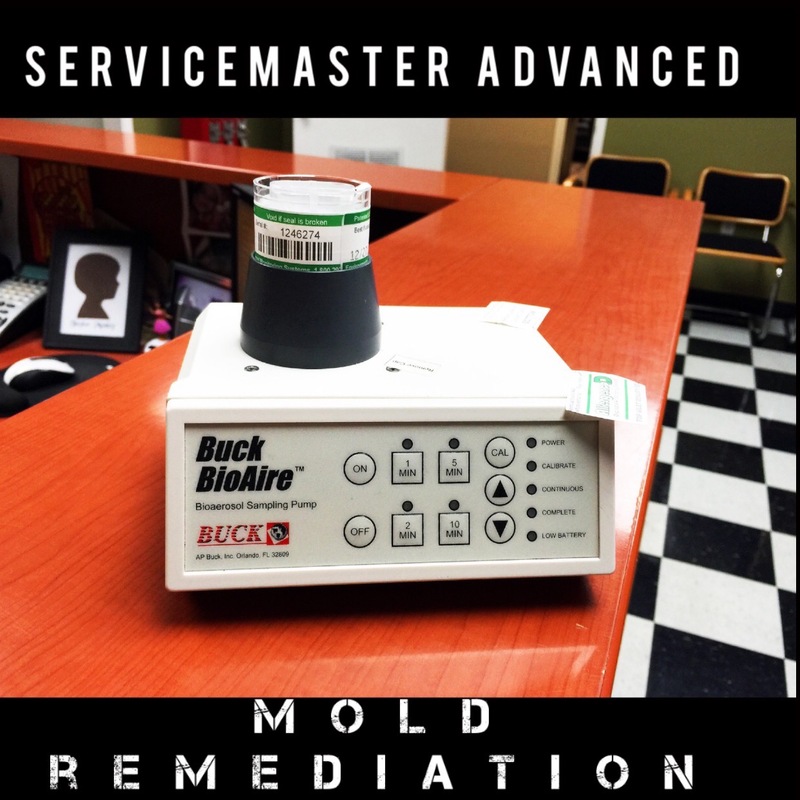 Building Leak & Water Intrusion Detection. 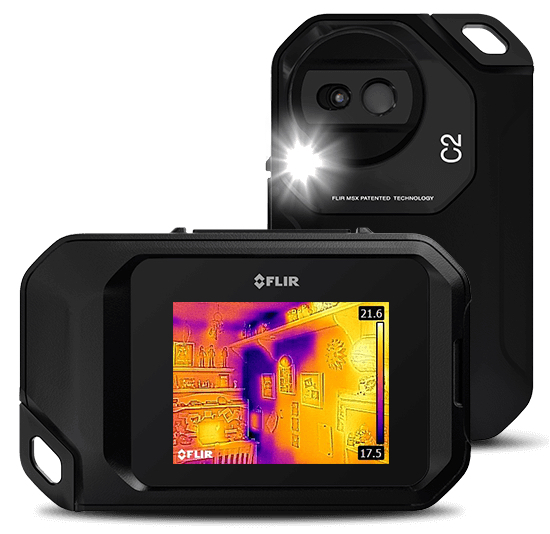 We have water meters and an infrared camera to assist our customers in finding and solving intrusion or leak problems. 14. Paper Product & Expendable Sourcing - from paper towels & toilet paper to can liners & cleaning supplies, we can provide any expendable that you may need. 15. 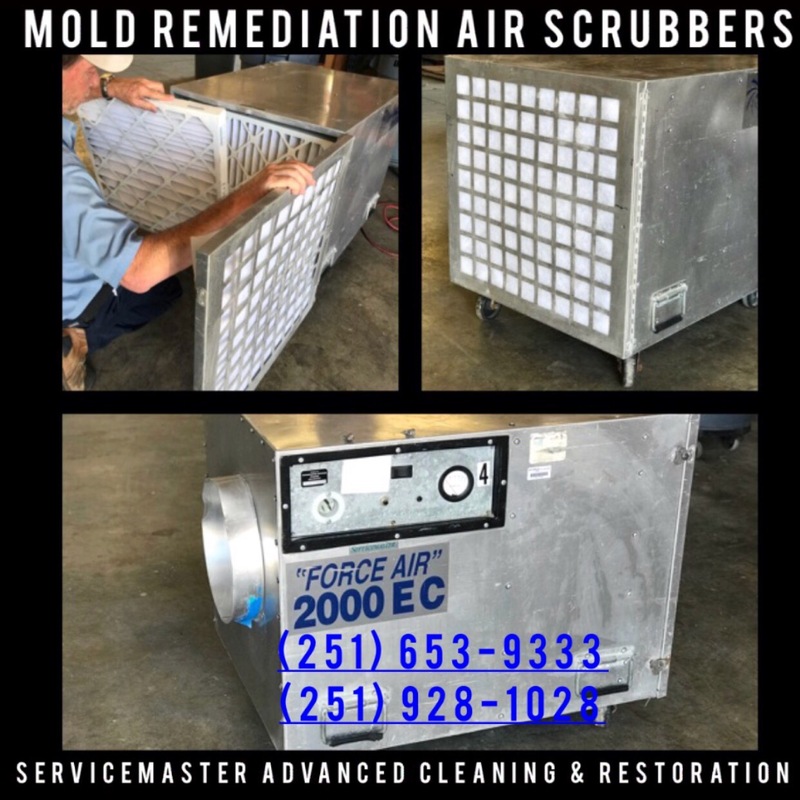 Specialty Cleaning - from vent hoods in restaurants, to ships, jets, luxury yachts and RVs - there is likely no man-made land-based structure that we haven't cleaned. 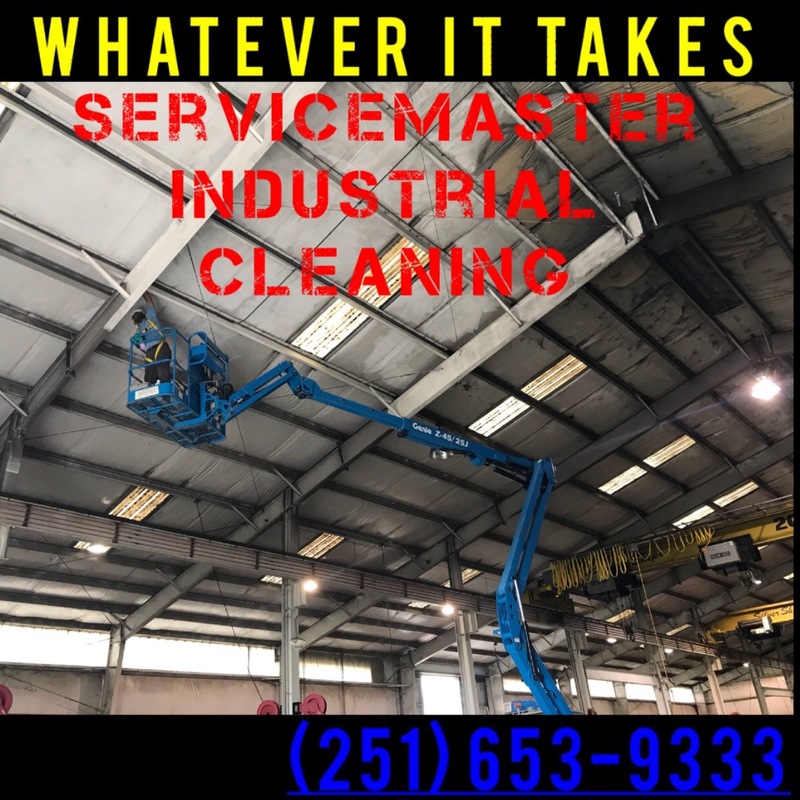 This includes cleaning UNDERNEATH homes and businesses, warehouse deck cleaning, and ceiling cleaning in hard-to-reach places such as a church ceiling. 17. 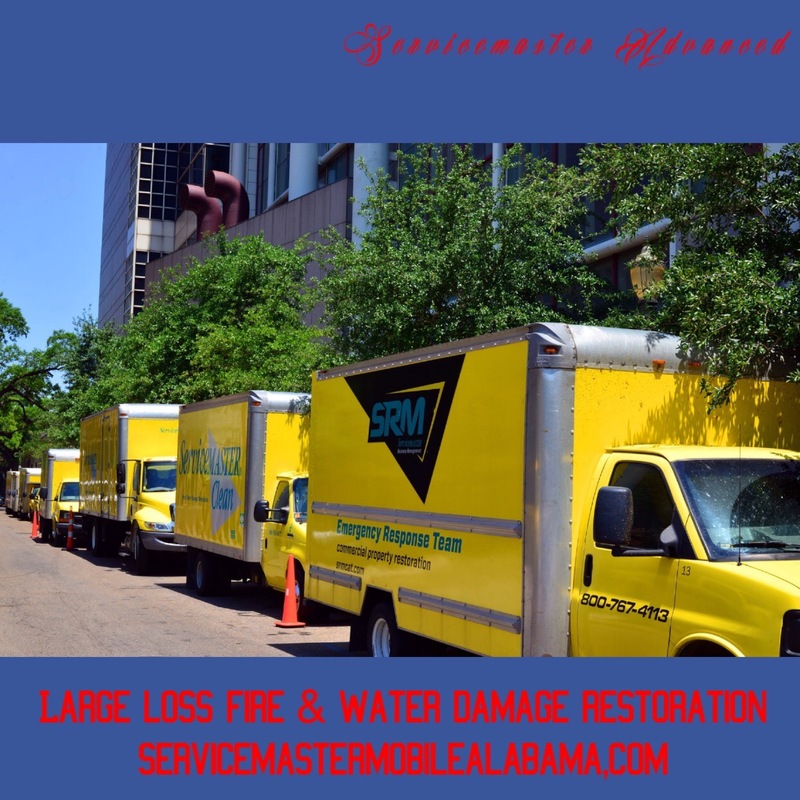 Large Scale Drying - Proven ability to handle large loss water damage restoration such as hotels, large office buildings & medical complexes. 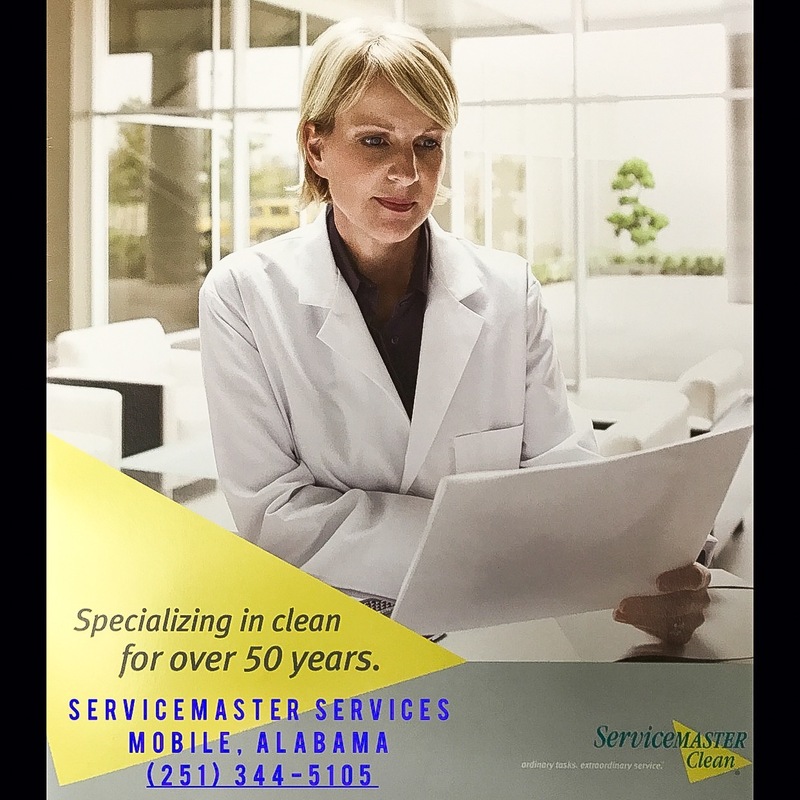 We have a built-in reservoir of janitorial people to draw from in times of catastrophic events and/or to handle large losses. 18. 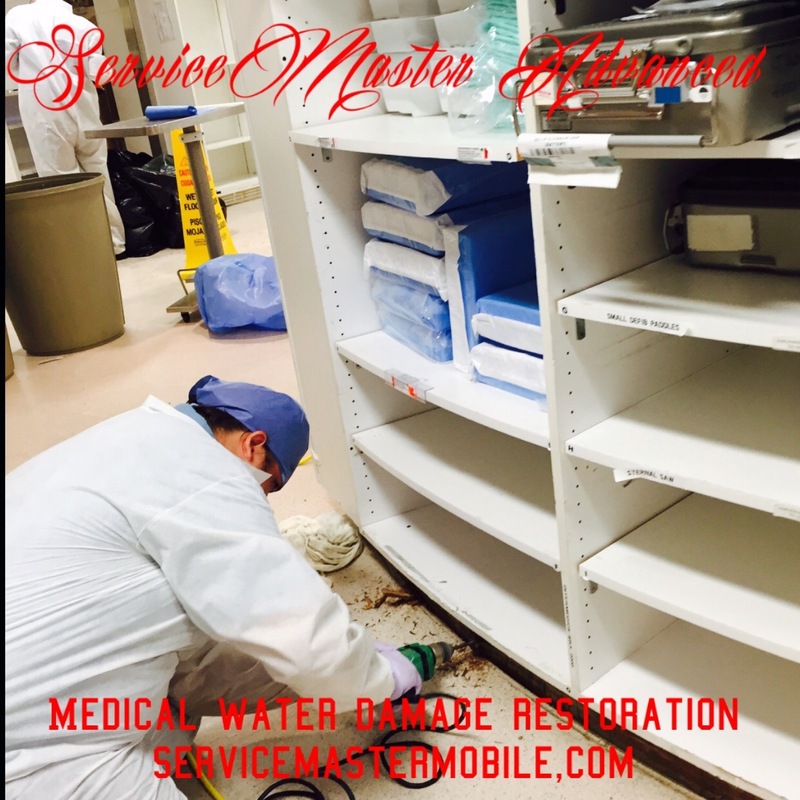 Medical Office Building & Clean Room Cleaning - extensive training & knowledge of the specific cleaning requirements of medical environments. 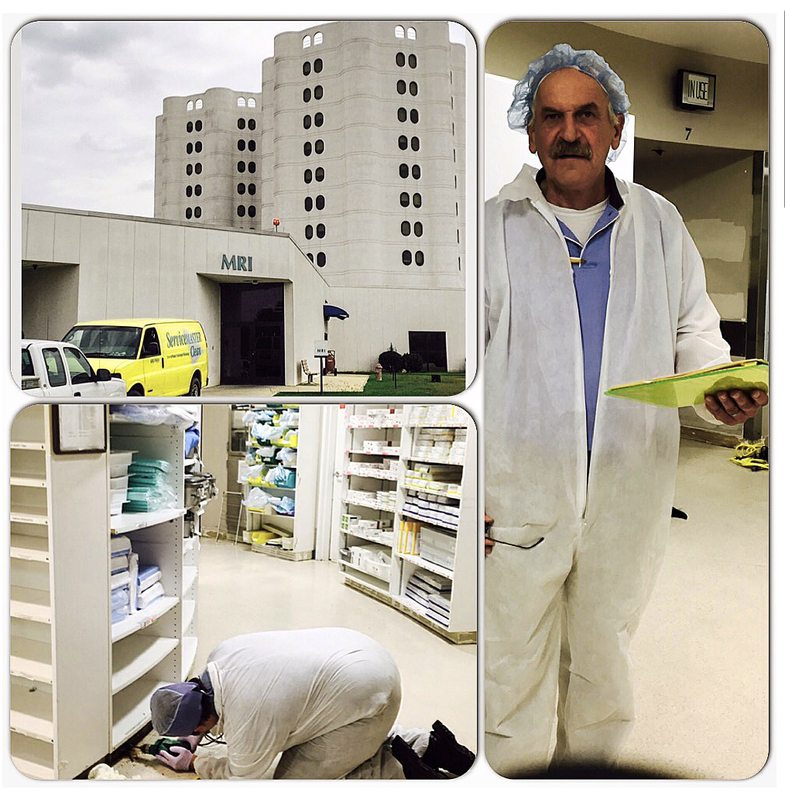 HIPPA, blood borne pathogen and Healthcare 1,2, & 3 level training ensures that we understand your industry. 19. 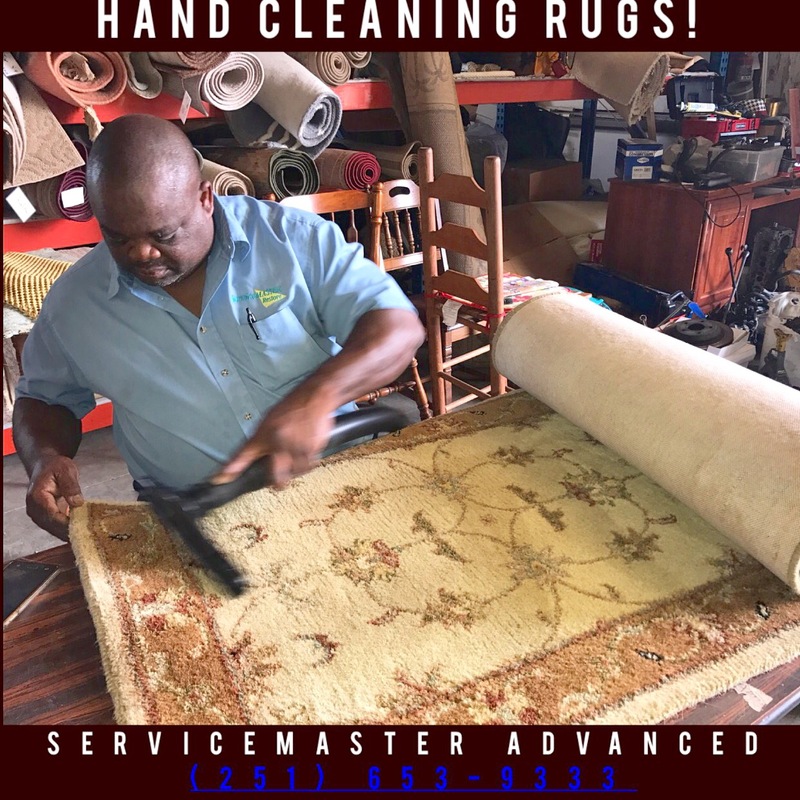 Upholstery & Rug Cleaning - we often clean hundreds of office chairs at once! 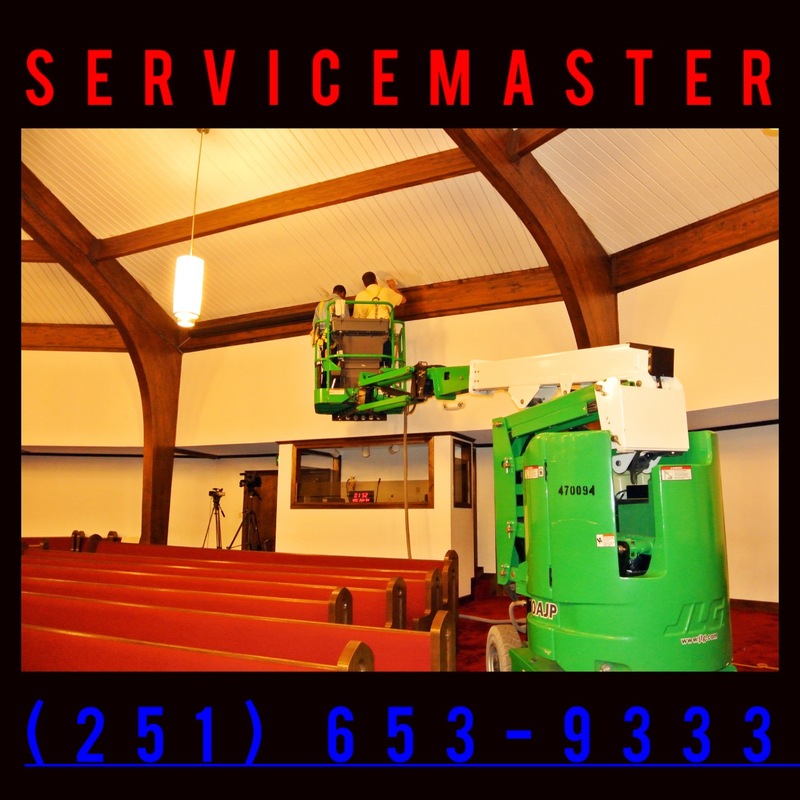 We have attachments on our truck-mounted units specifically for cleaning our customers upholstery. 20. 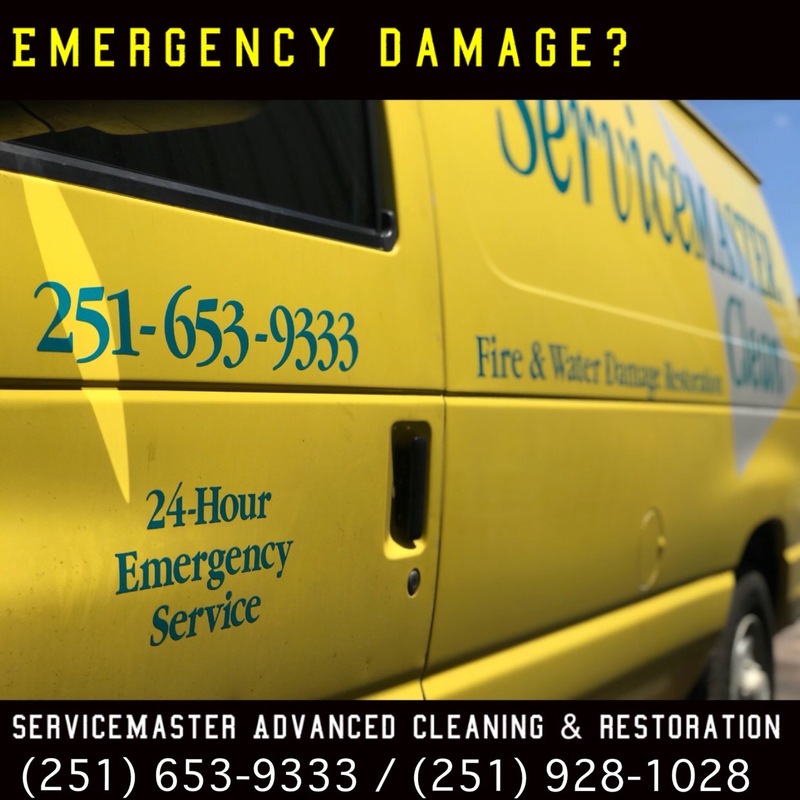 Detail Fire Contents Cleaning, Pack Out & Storage - in conjunction with a fire or water restoration project or as a stand alone service. 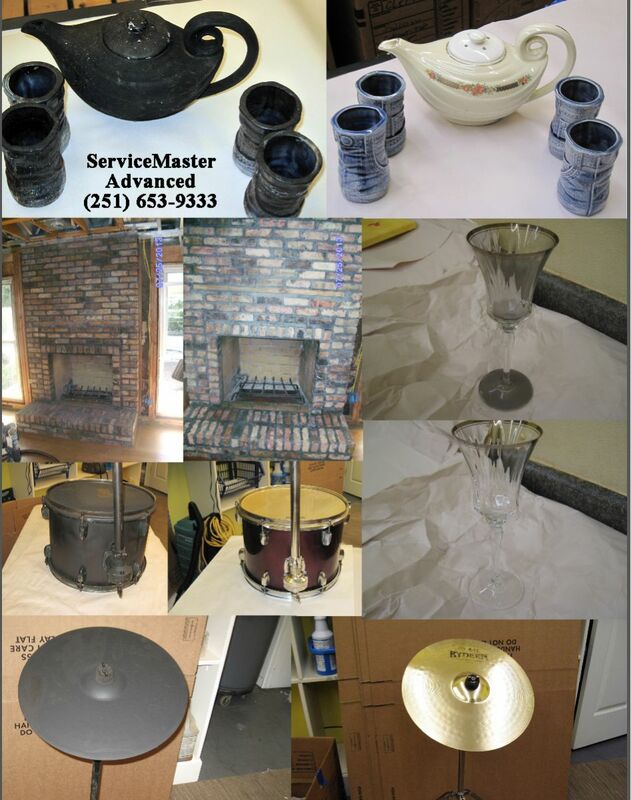 NO one can clean your most precious contents like the ladies of Servicemaster Advanced. 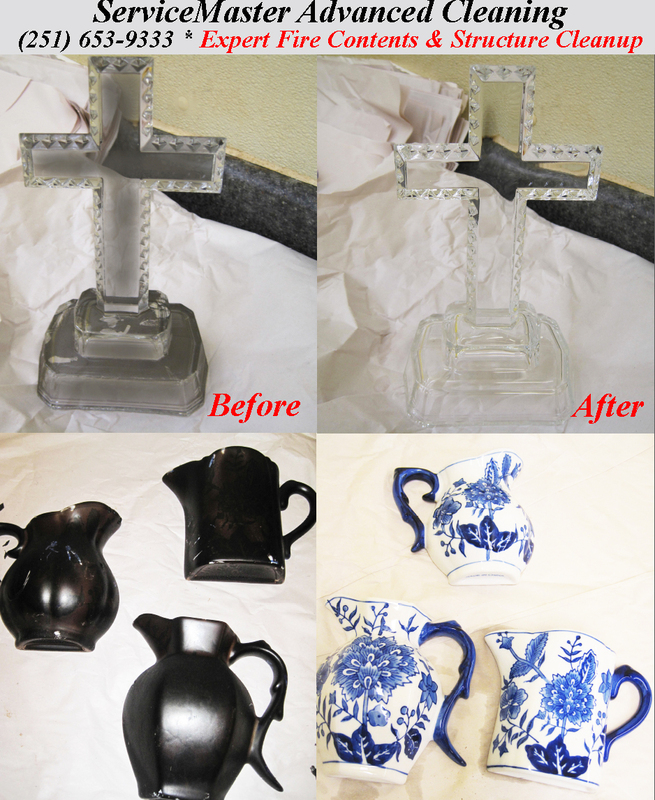 We have hundreds of pictures of family heirlooms that we have SAVED for customers. 21. 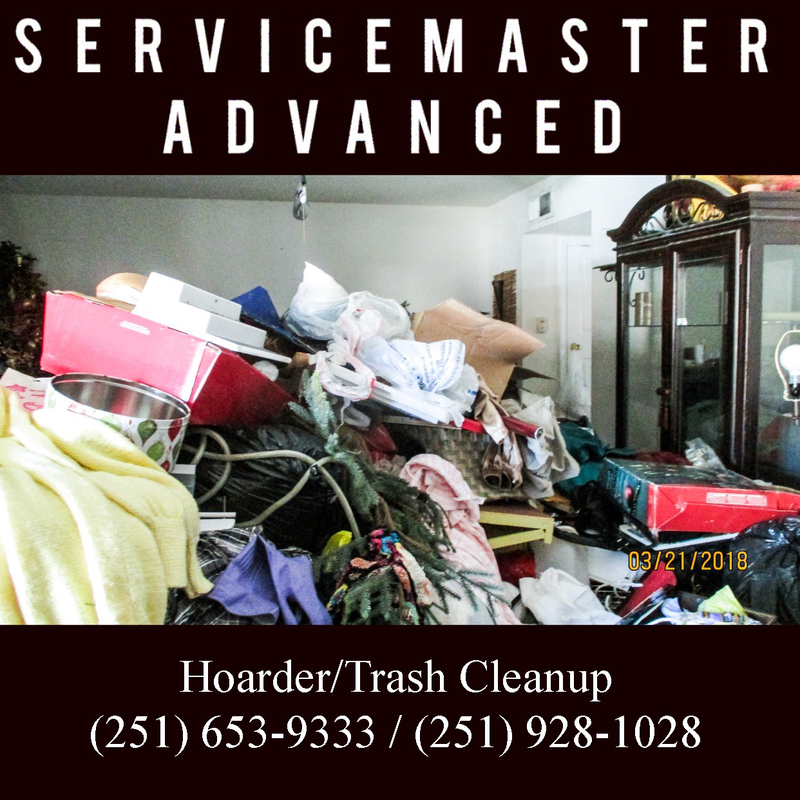 Debris Removal and Hoarder Cleanup - if it is under a roof, we can find a way to remove it. 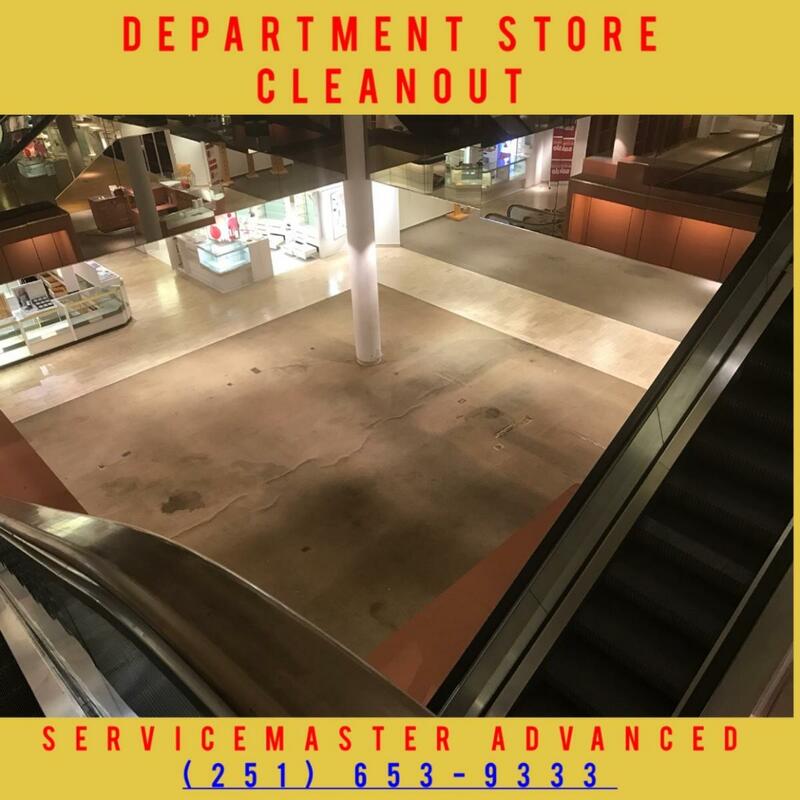 We have cleaned out huge department stores and warehouses. 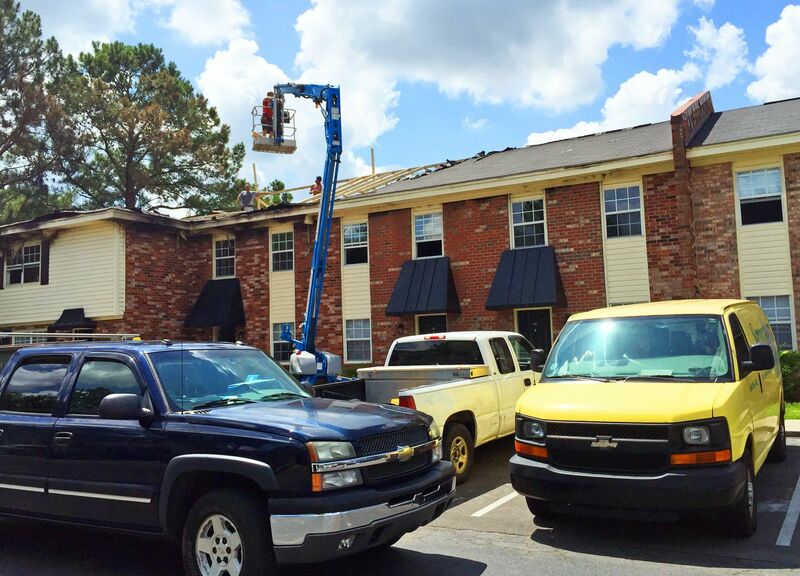 We have the labor and the supervision to get it done quickly, efficiently and at a reasonable price. 22. 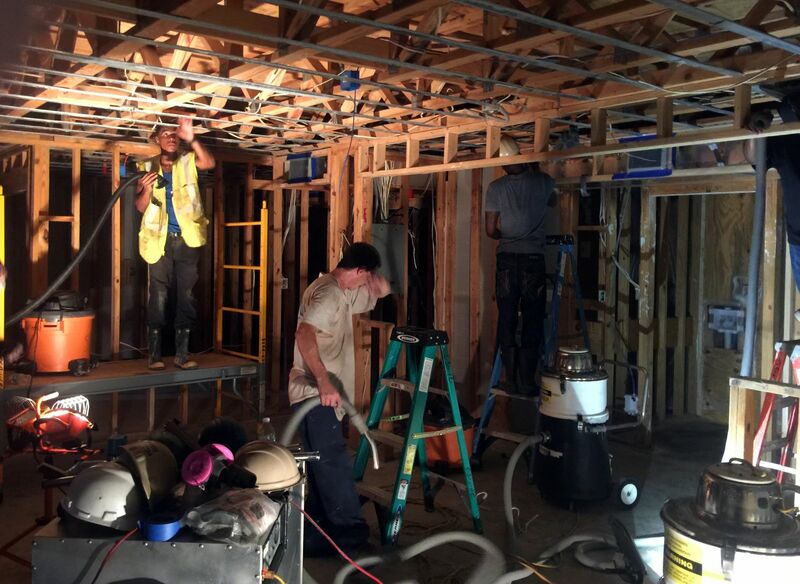 Interior Demolition Services - usually in conjunction with a water or fire restoration project, we can prepare the structure for rebuild, or handle the turn-key service for you. 23. 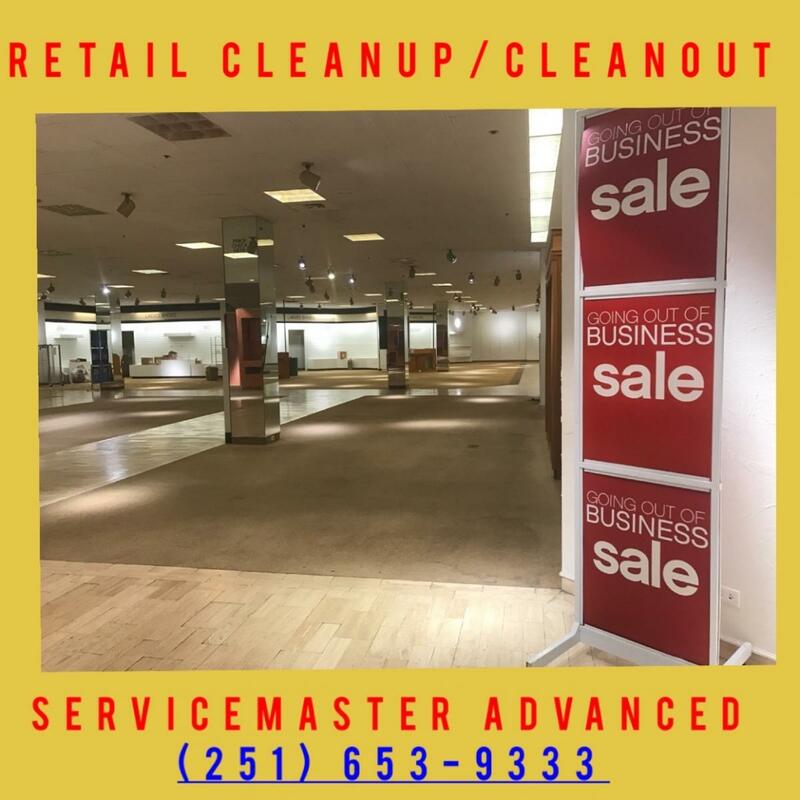 Turn-key Shopping Center & Office Space Turnaround - we remove the debris and trash left by the former tenant, and we clean the space to be ready for lease. 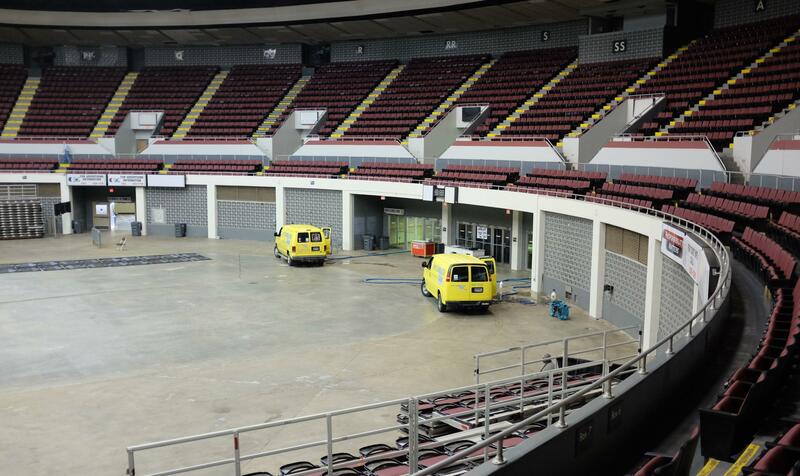 24 Large Hard Surface Floor Preparation - we have the large automated equipment to prepare large hard surface floor areas for occupancy after construction, or we can perform routine maintenance. 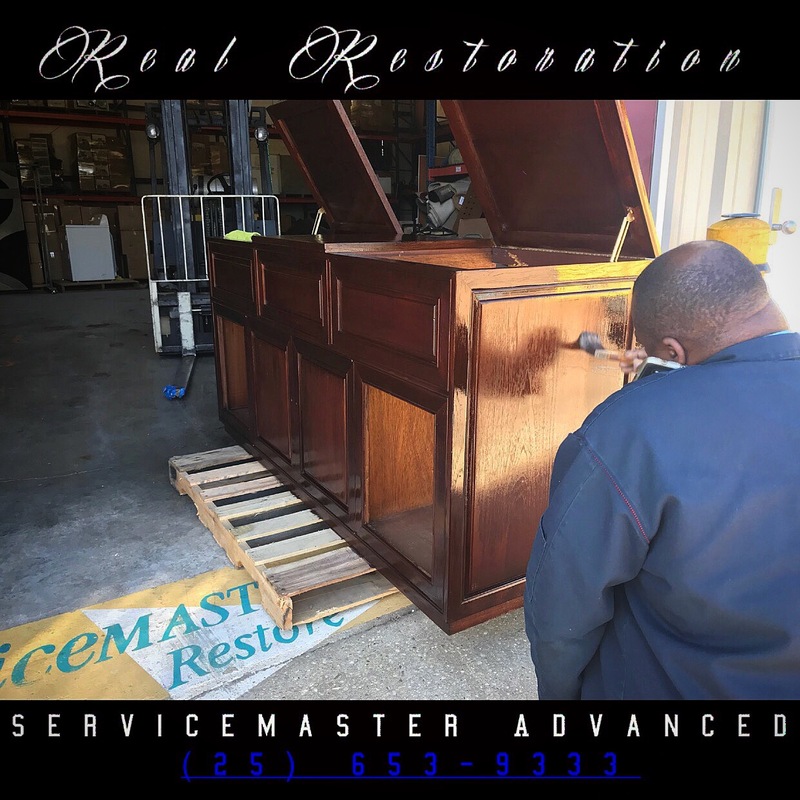 Is there anything that we don't do in the field of cleaning and restoration? 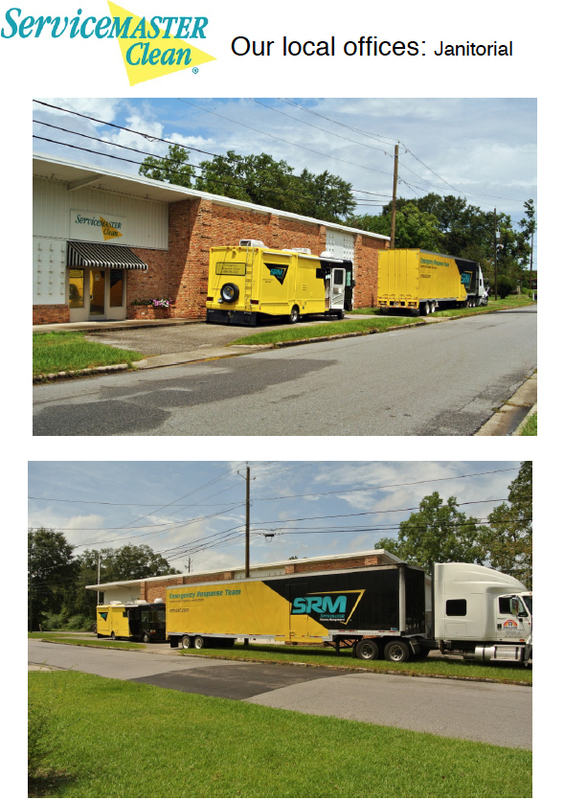 We handle some of Mobile's most well know entities. 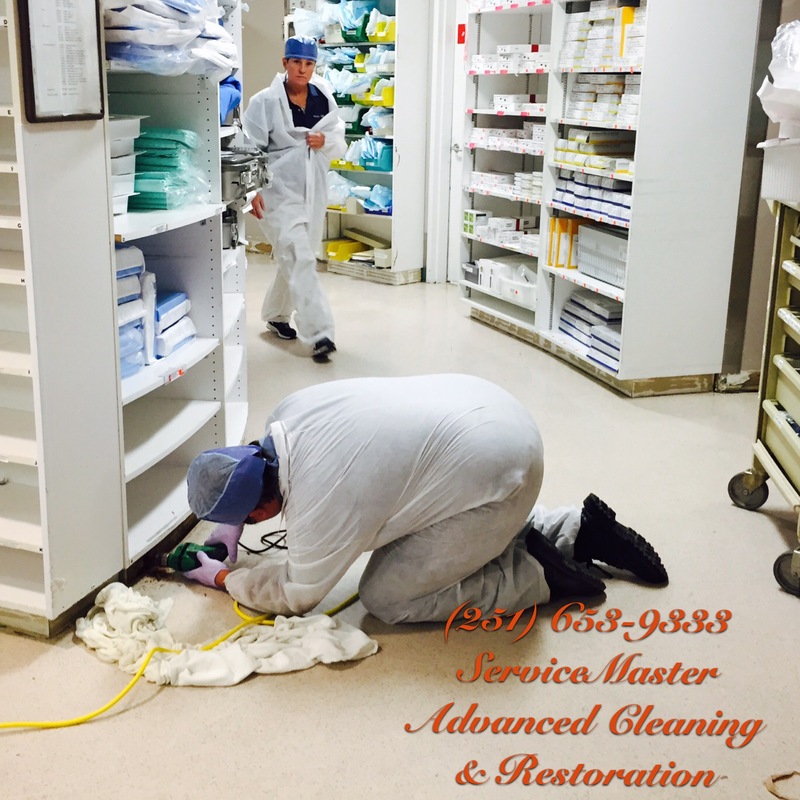 In janitorial, we specialize in Medical, Industrial and Offices. 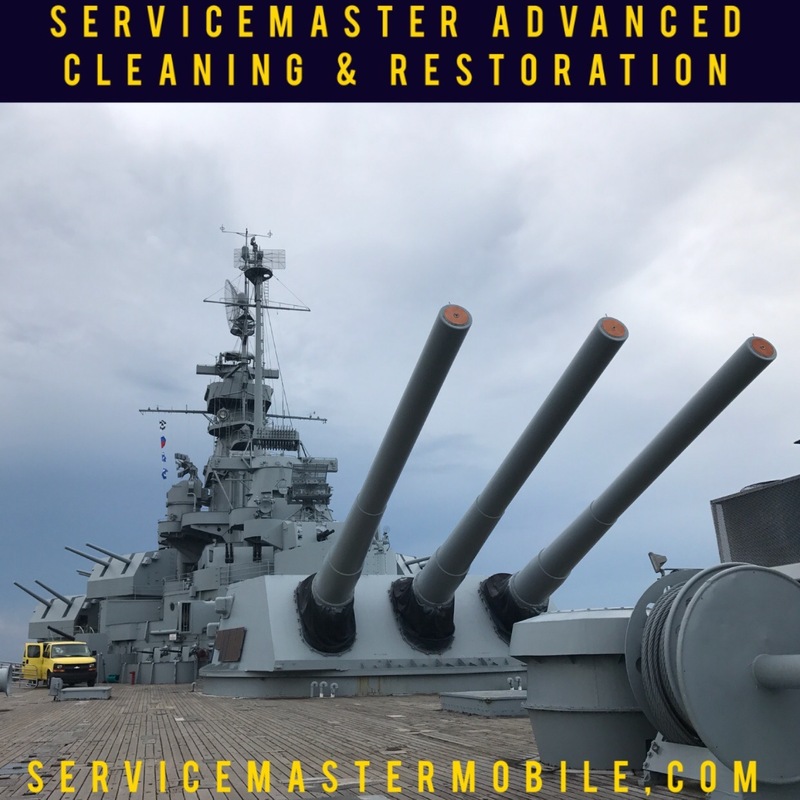 We clean schools, ships and airplanes as well! 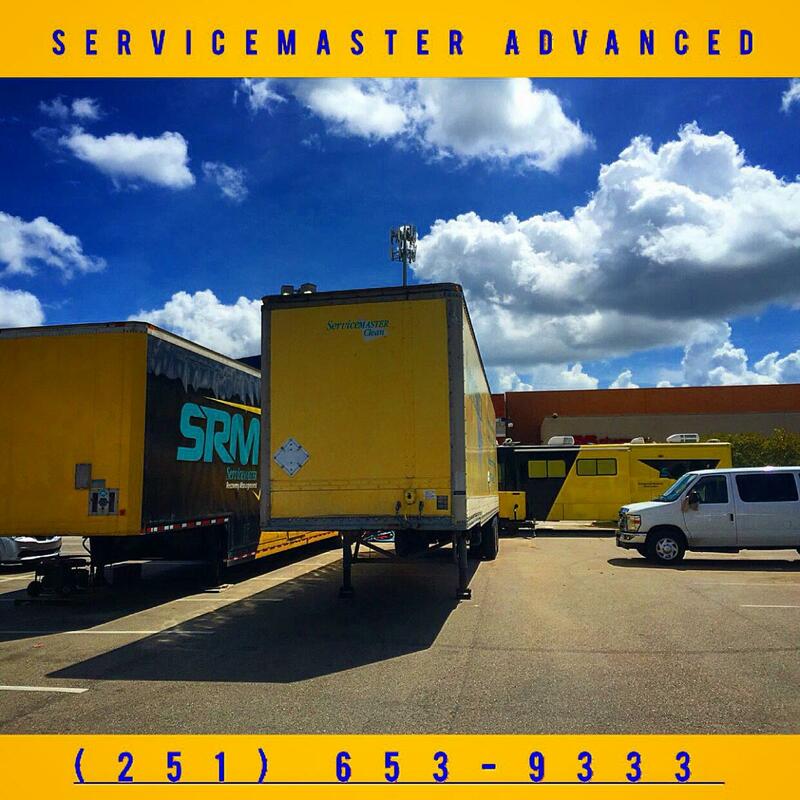 We have one of the largest staffs of cleaning personnel anywhere, and we use the most modern of equipment and procedures. 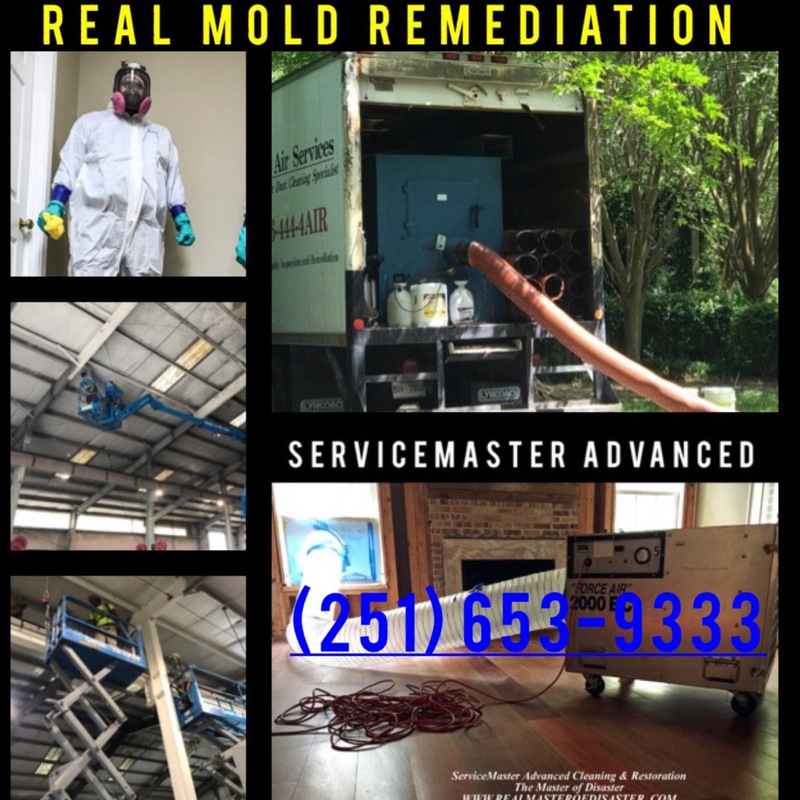 We are locally owned and unlike so many of the postings on the internet, we actually live and work here in the Mobile area. 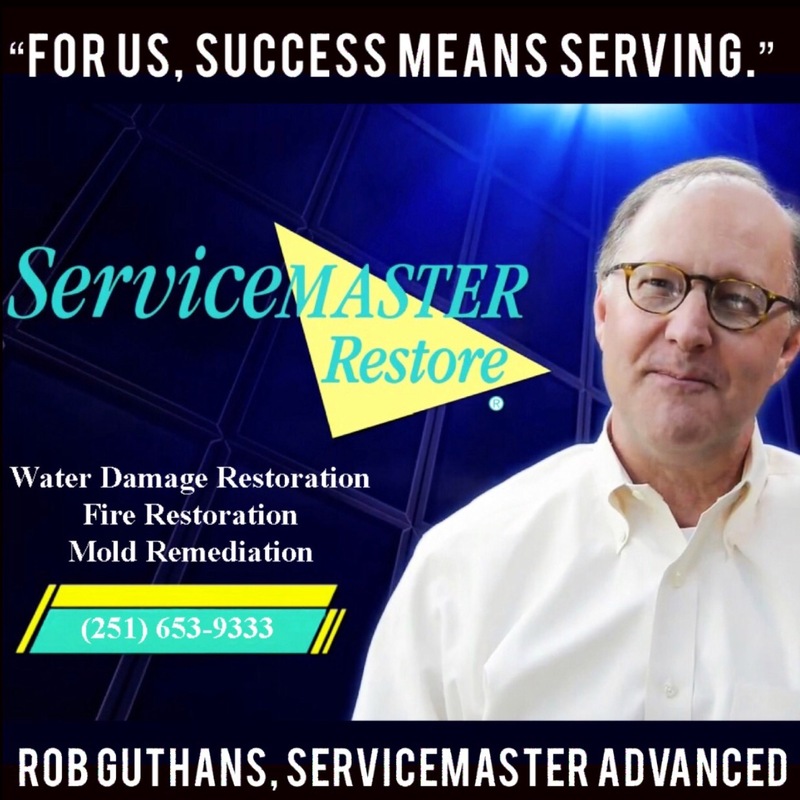 We are not a fire and water damage restoration company, or janitorial company that has set up a virtual presence on the internet, hoping to subcontract to another outfit. We are real. We are here. We go to church and school here. 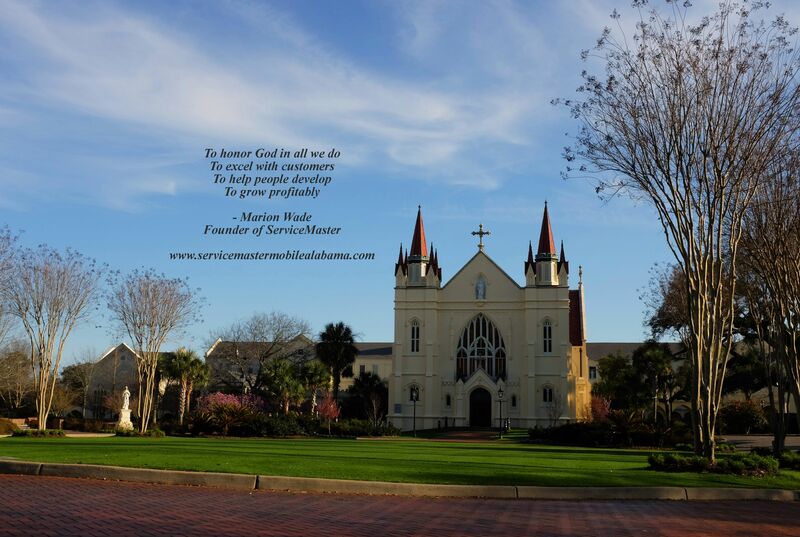 We pay taxes here and we are part of the volunteer community here in Mobile. 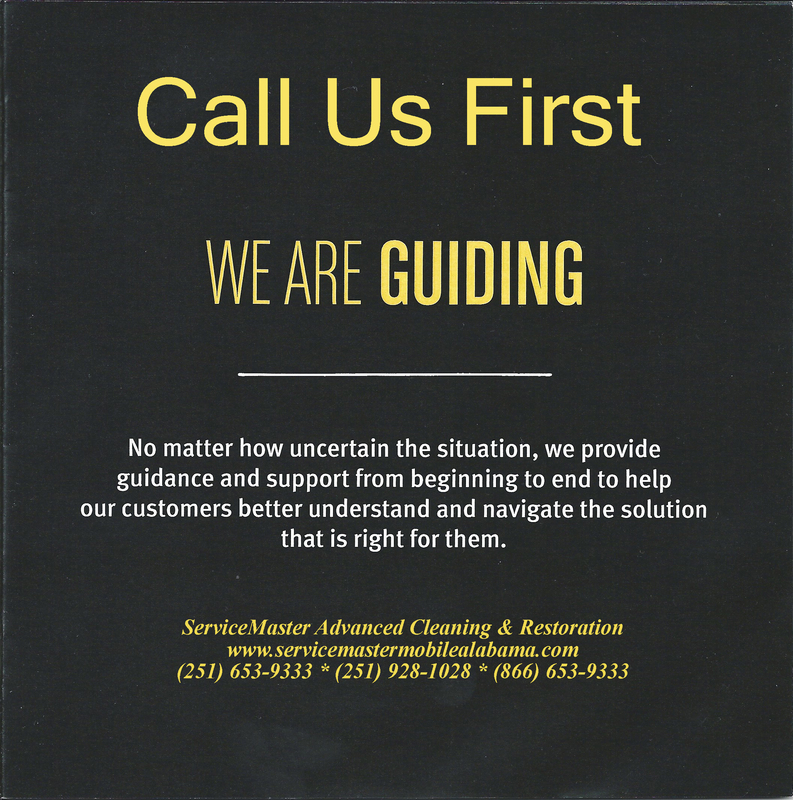 We enjoy an excellent reputation and we care about your facility. 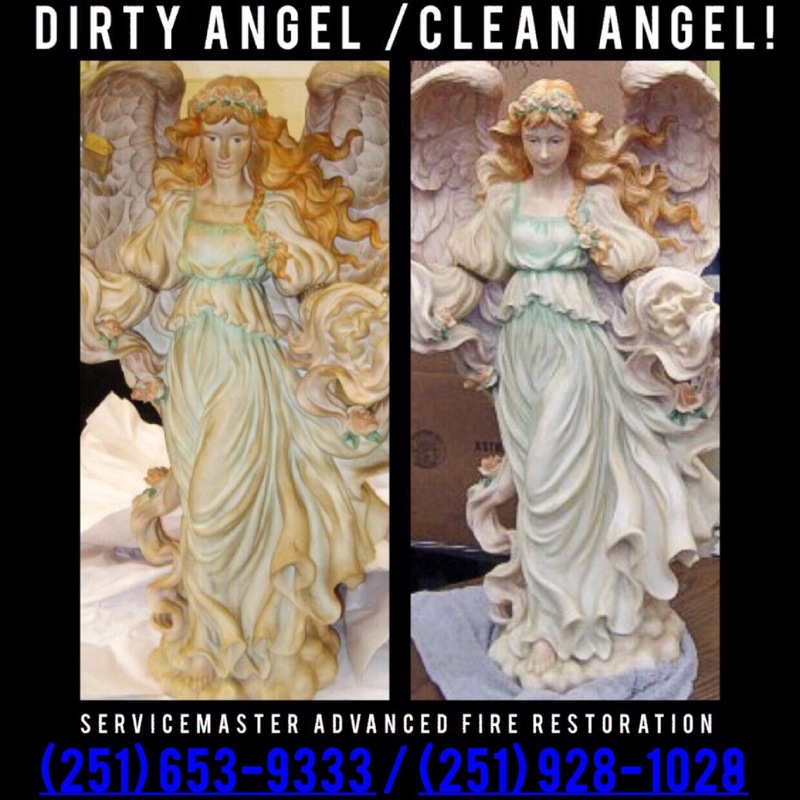 Our prices are fair and our service is excellent and consistent. We do not underbid in the effort to get our foot in the door and then raise our prices. 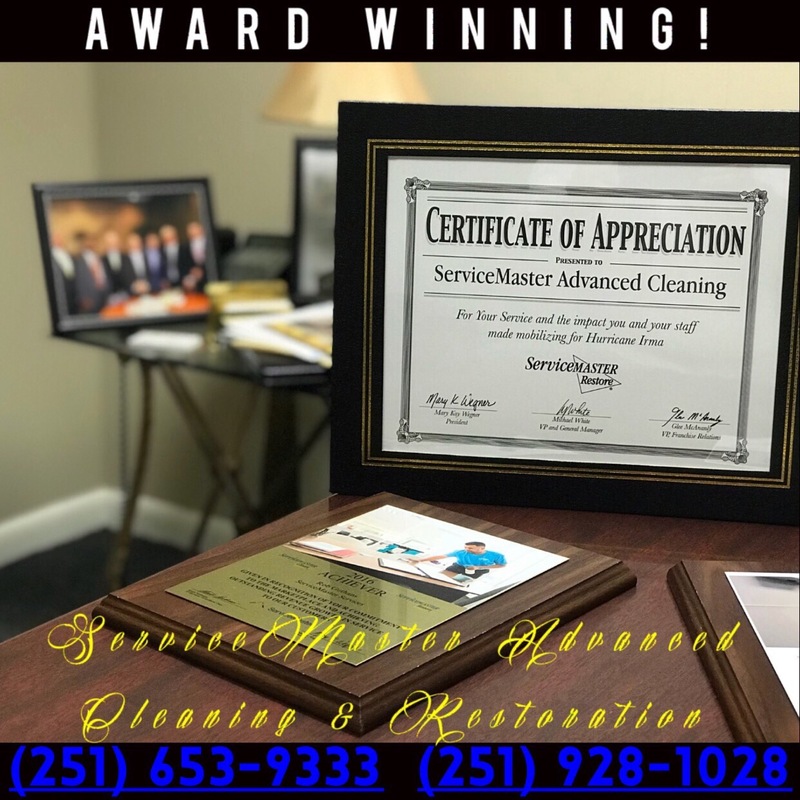 We do not believe in poor service and then come in once a month to raise the cleaning standard; conversely we believe in keeping your facility in first-class condition ALL of the time! 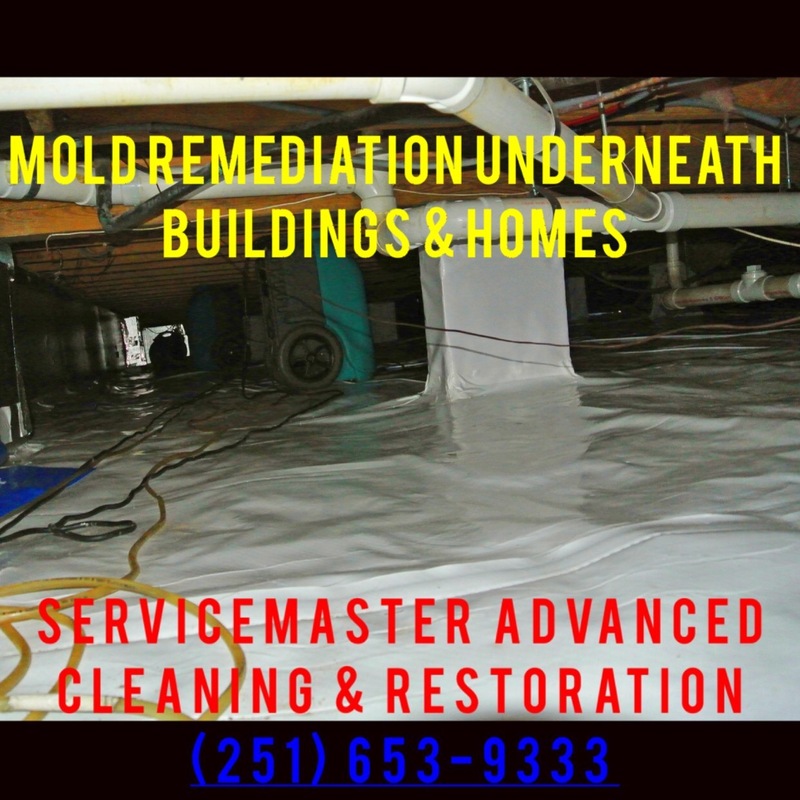 Call us today for a quote. No building is too small, and none certainly is too large. 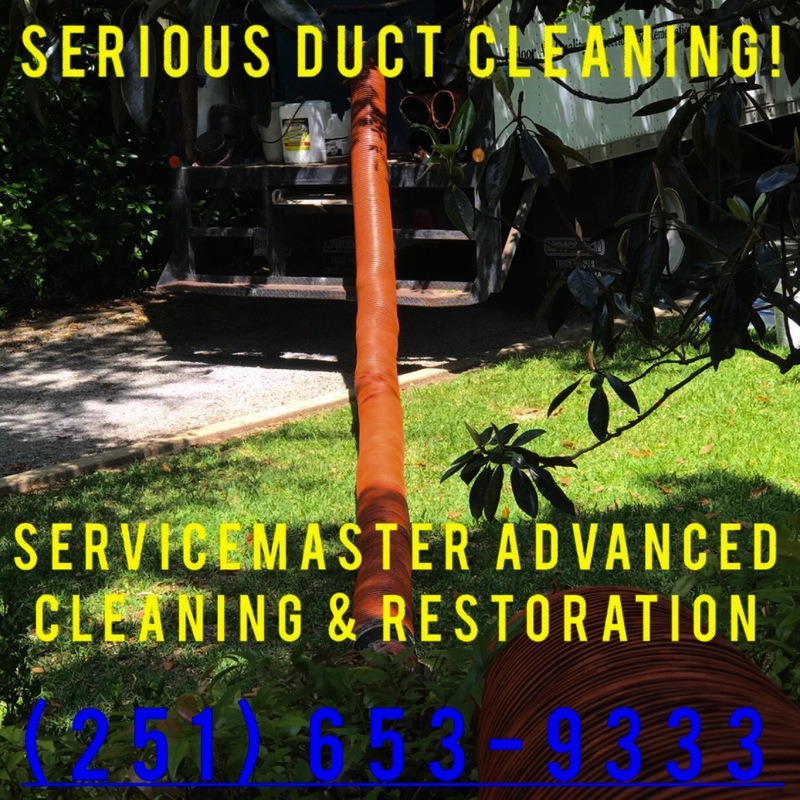 (251) 344-5105. 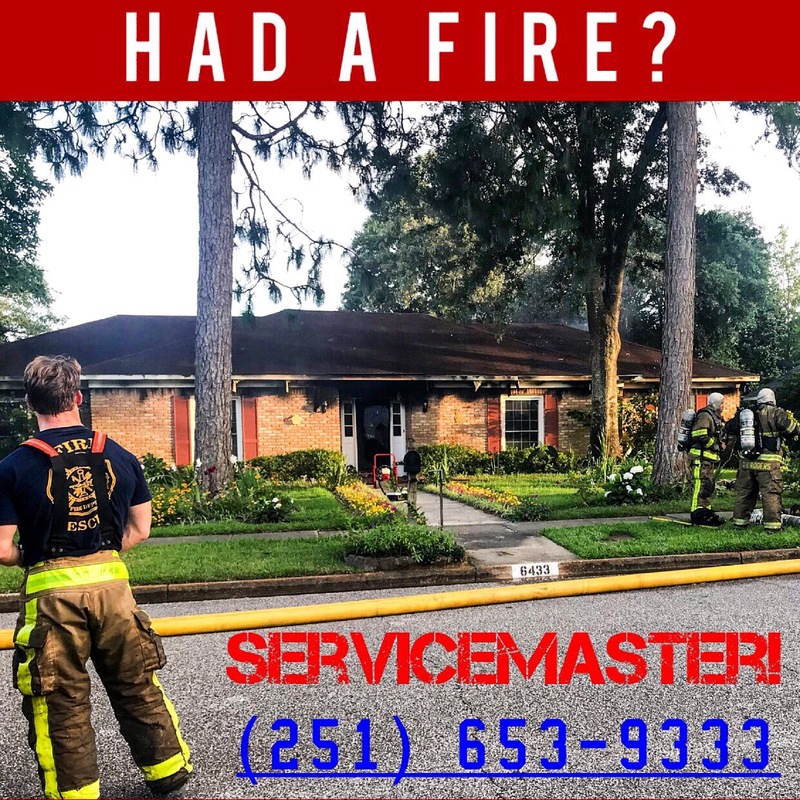 For fire and water mitigation, call us at (251) 653-9333 in Mobile or Baldwin County (251) 928-1028, (251) 943-2230, or from anywhere (866) 653-9333 http://www.servicemastermobile.com & http://www.realmasterofdisaster.com.